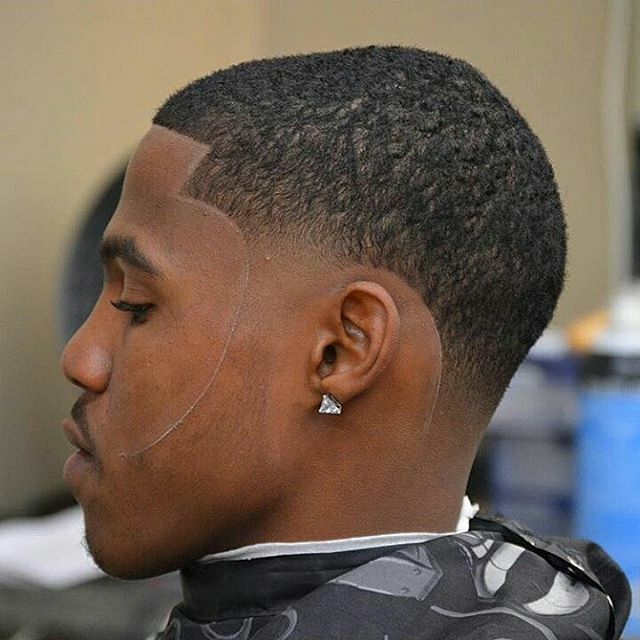 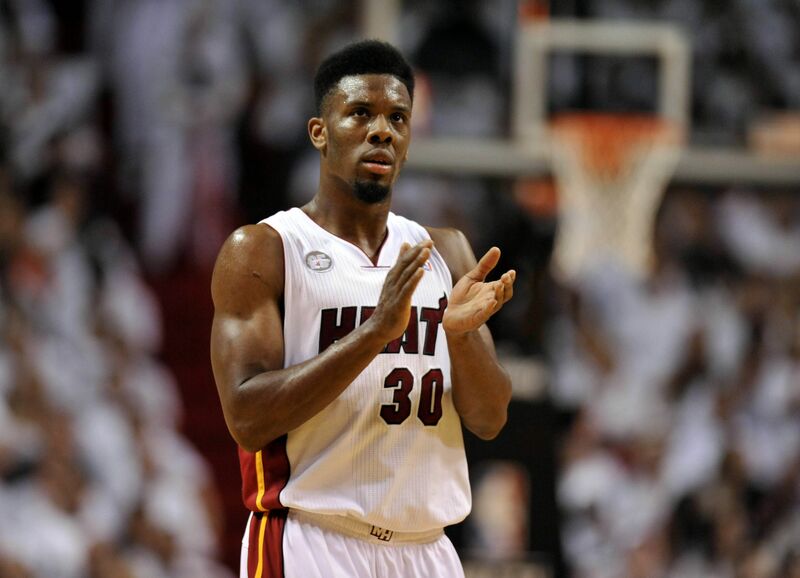 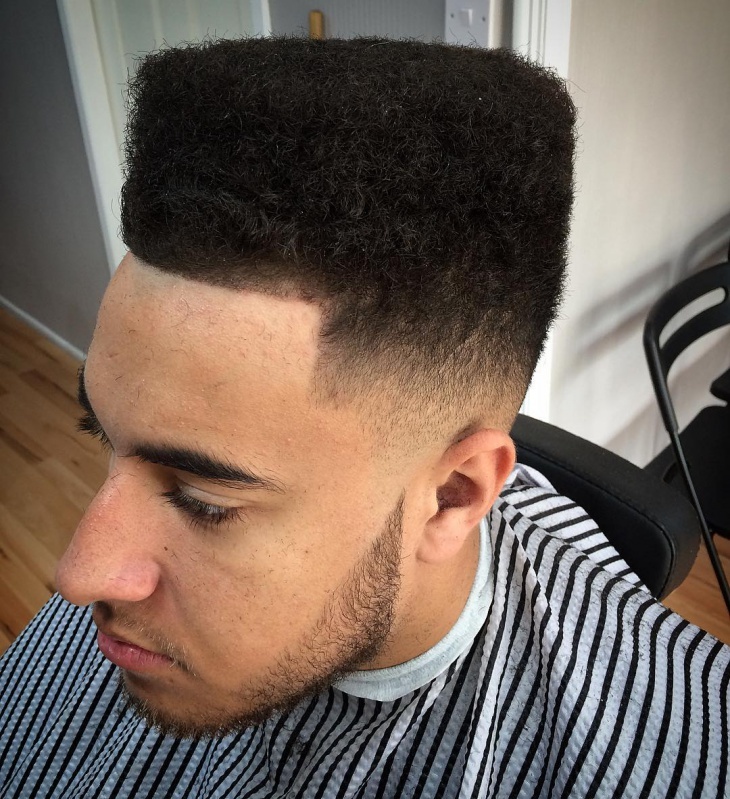 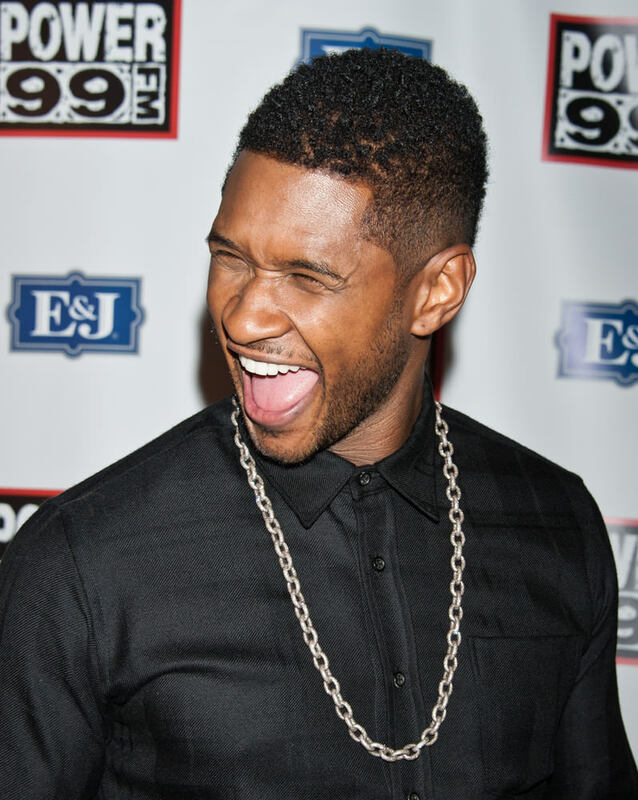 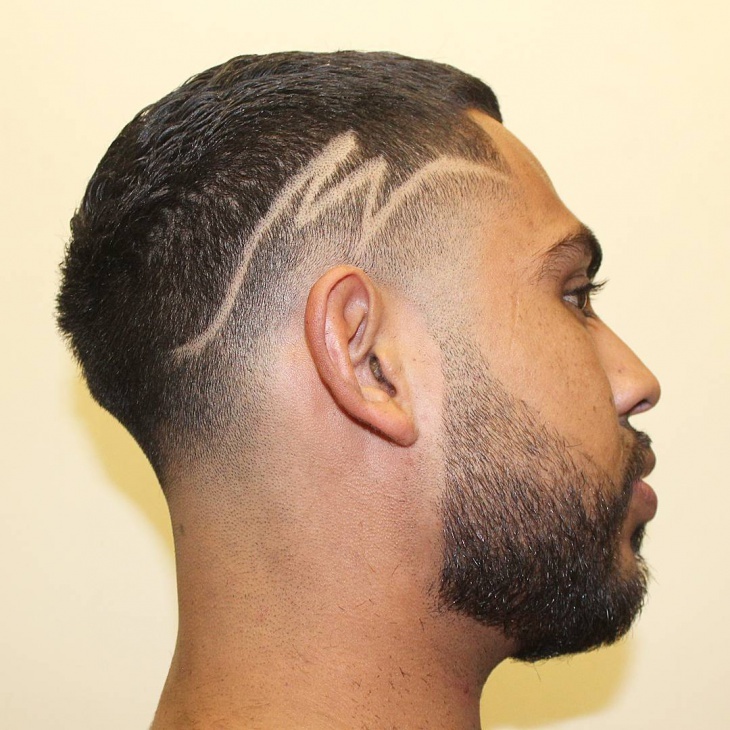 Hot and happening, the fade haircuts has become very popular this year with men, especially black men. 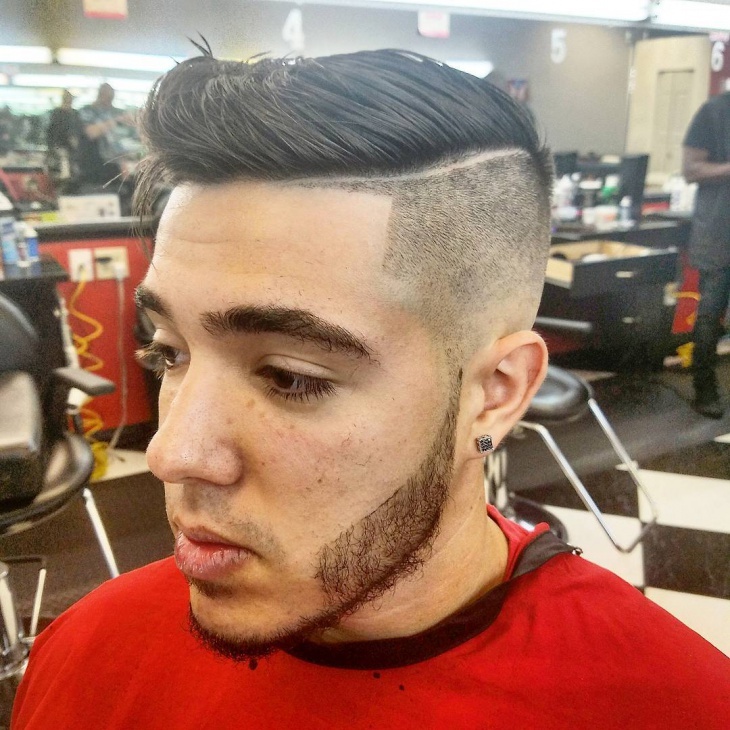 Sporting various types, the fad has not only caught up with youngsters but also men of all ages. 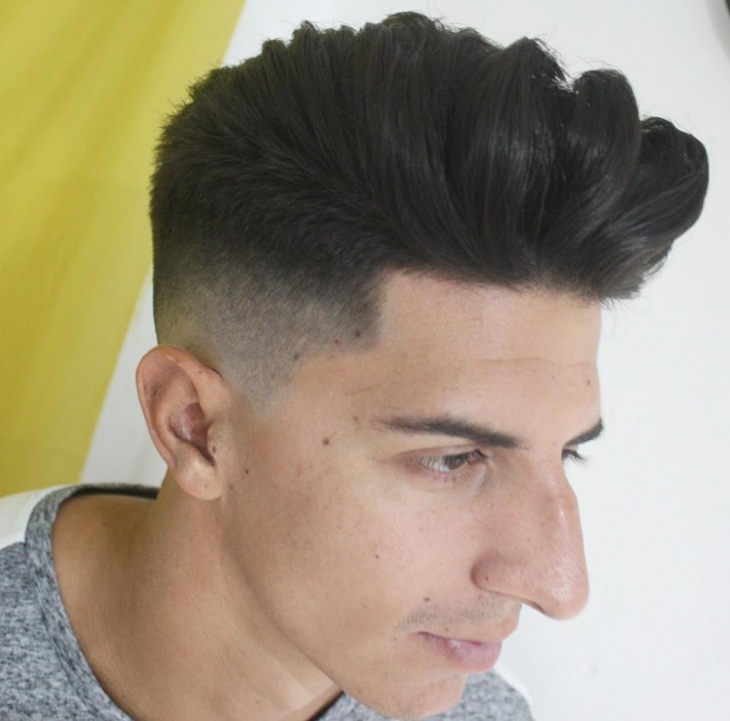 Men are really enjoying this cool clean look coiffure. 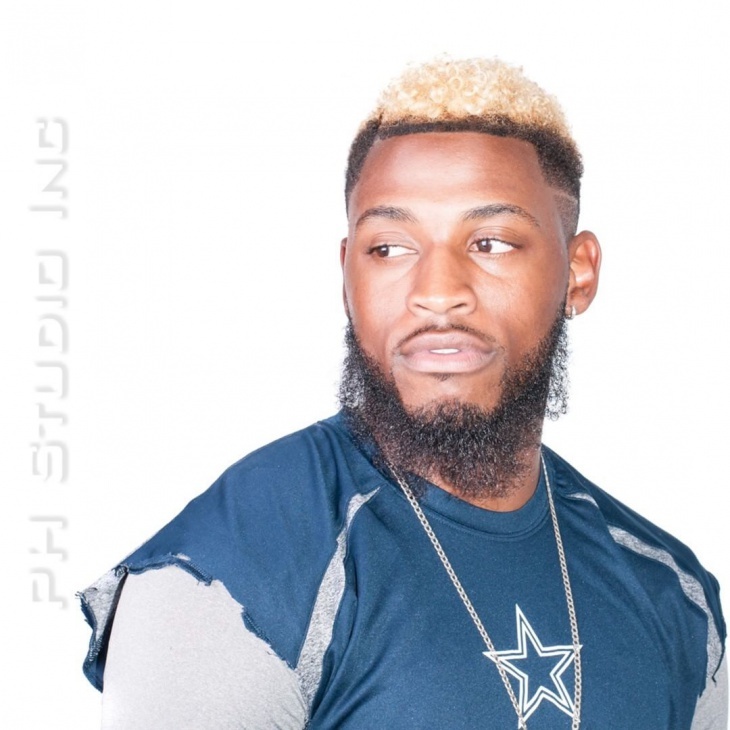 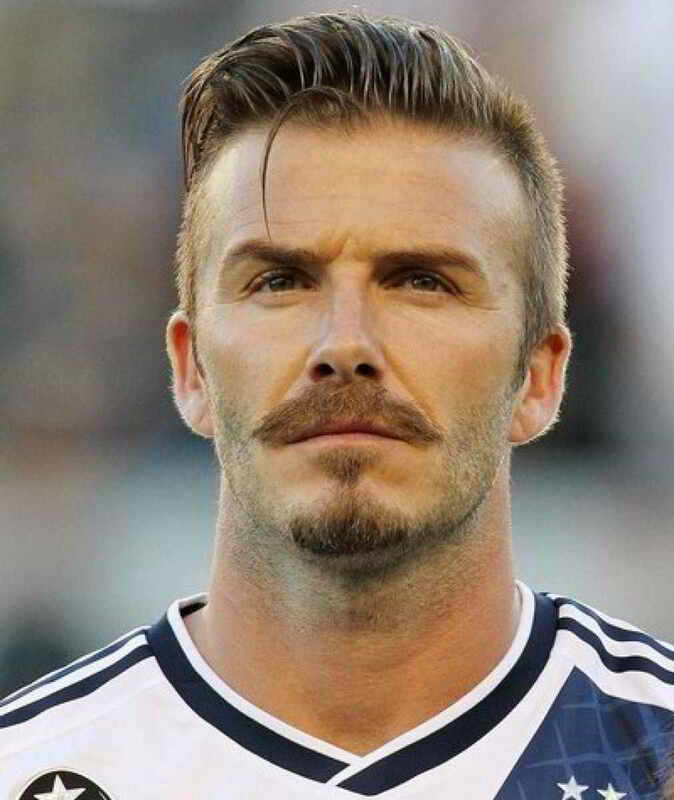 Even celebrities and world class athletes are sporting this style. 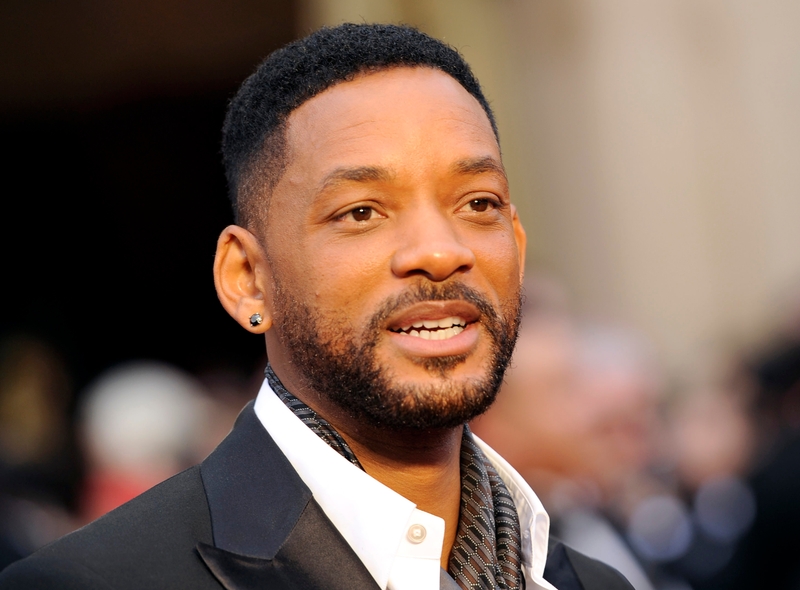 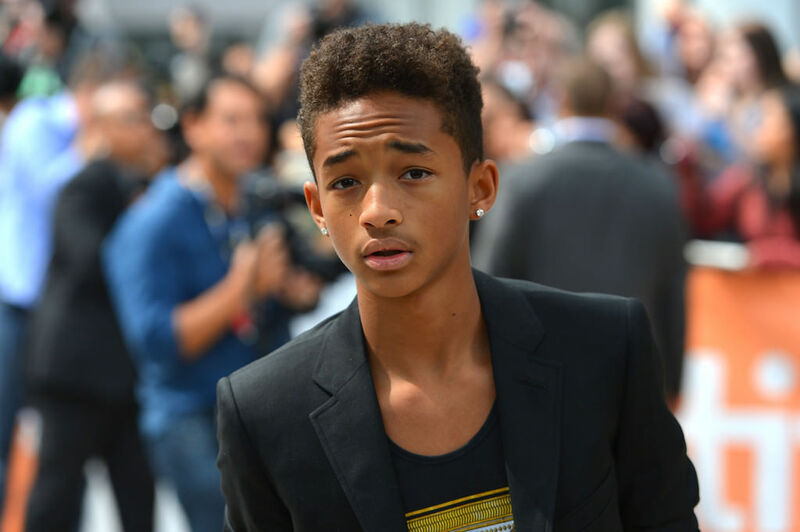 Hollywood star Will Smith has always loved this clean look hairstyle. 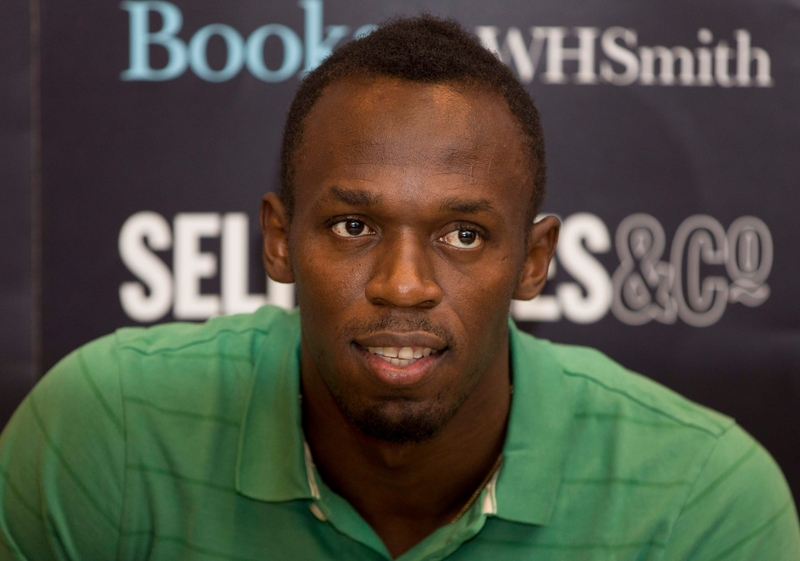 The fastest man on the earth Usain Bolt sport fade haircut. 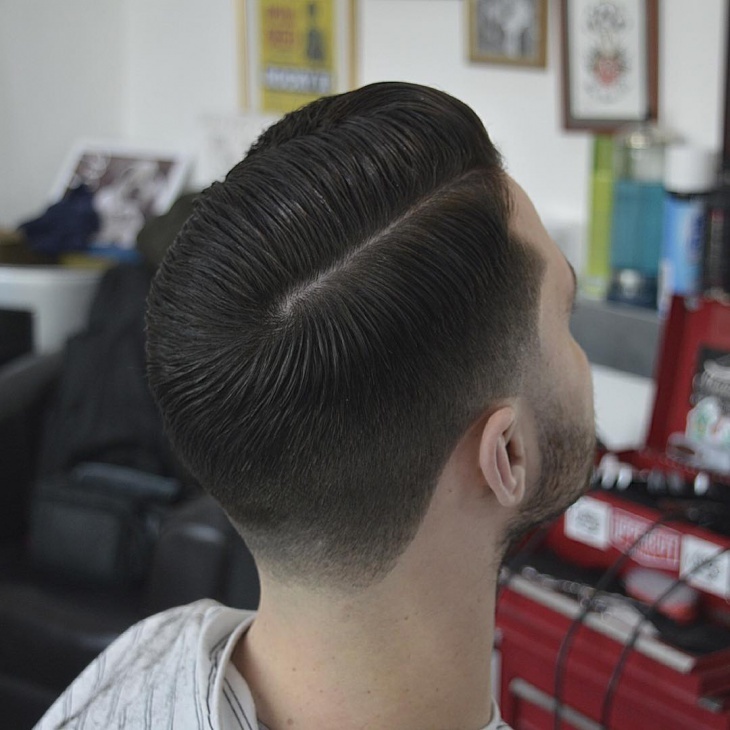 The comb over is one of those ageless haircuts that will never go out of trend. 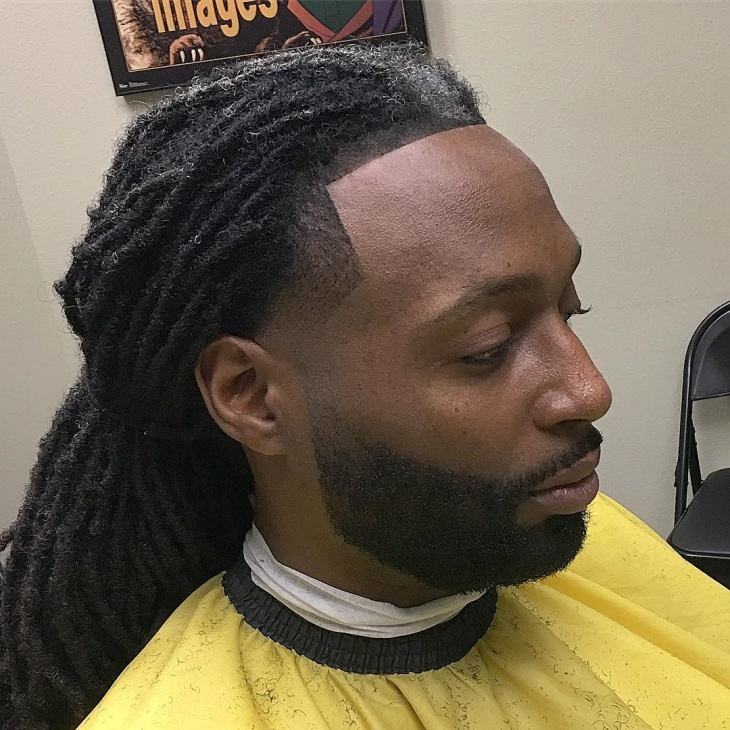 Initially started off as the old men’s attempt to hide their swiftly approaching baldness by combing the long strands of hair over the bald patch, coined the name Comb Over. 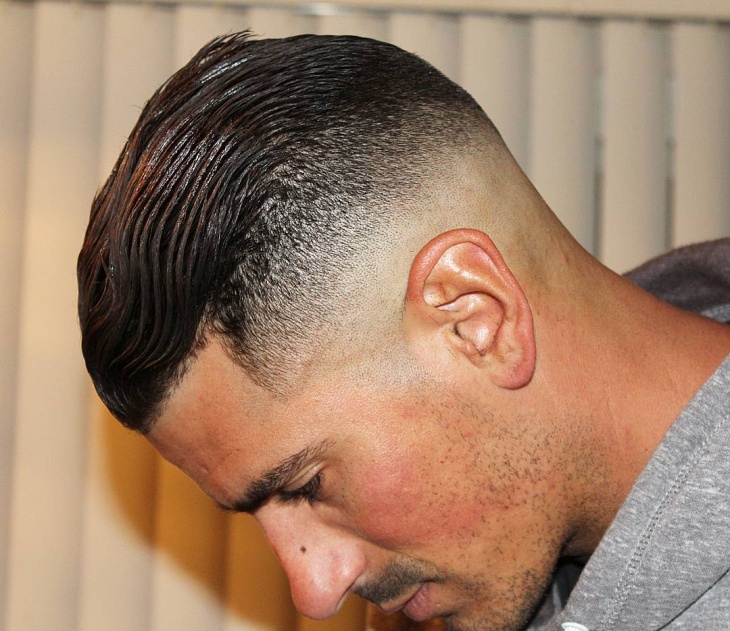 But today, just like everything else, men have adapted this much needed hairdo, into a more stylish and cool hairstyle. 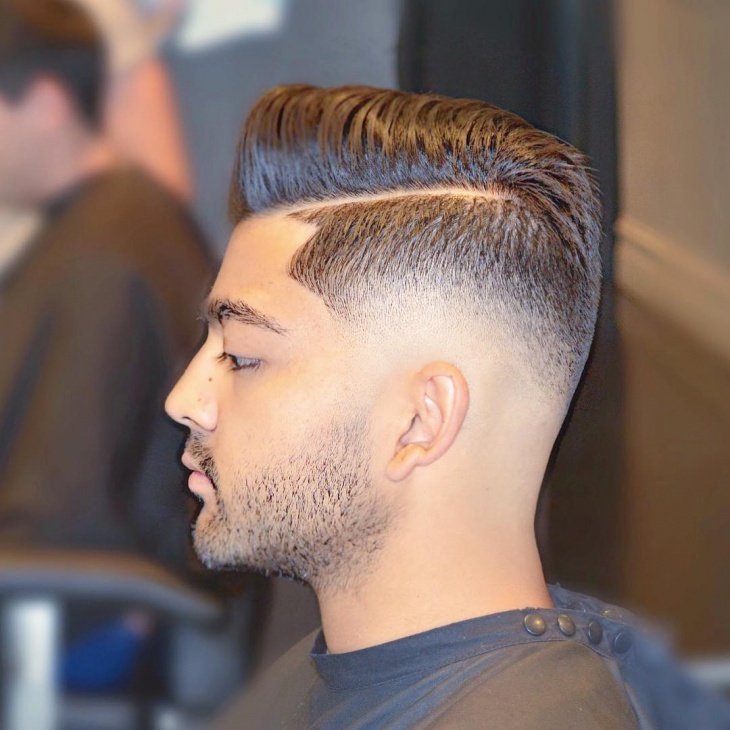 Pairing the comb over with a hard side part makes for an attractive pampadour. 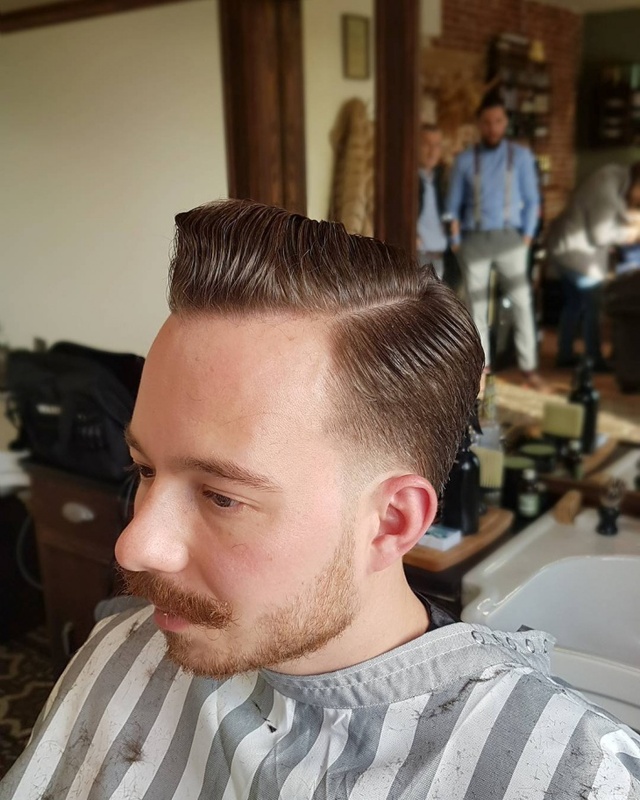 This improvised comb over makes the hair look more voluminous. 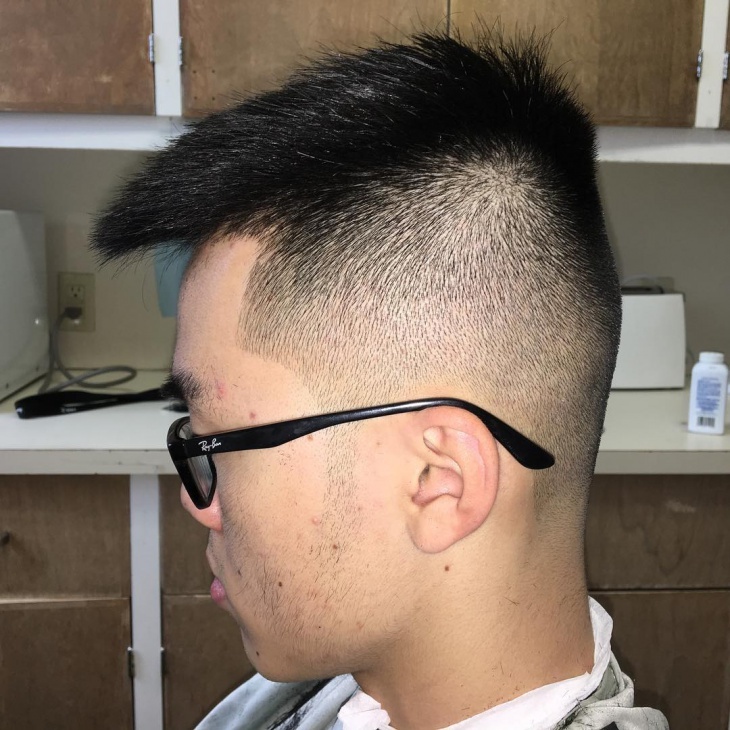 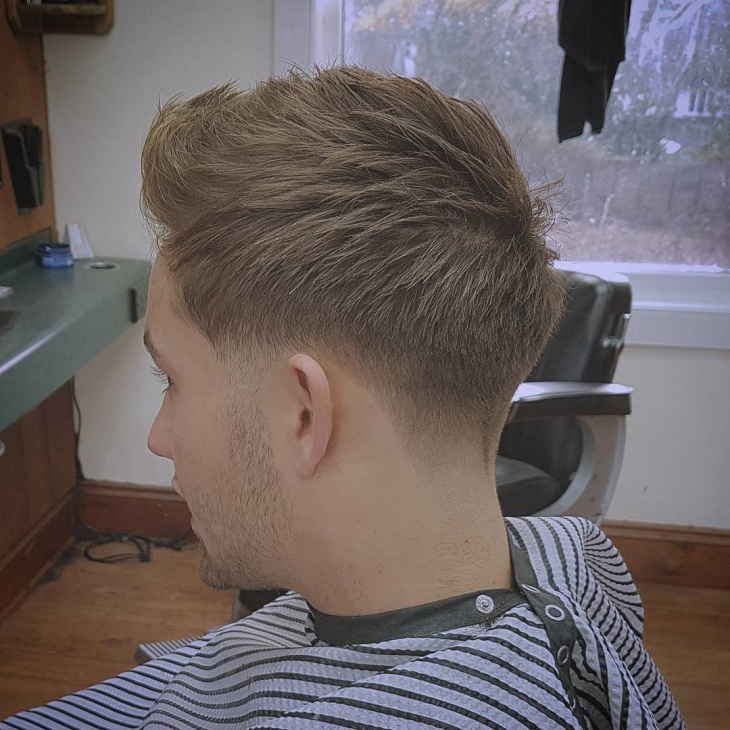 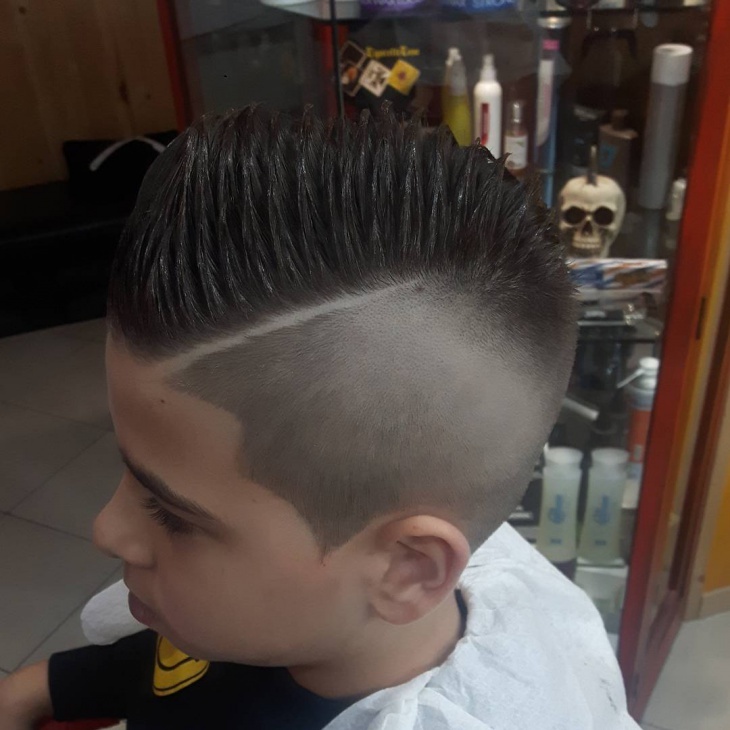 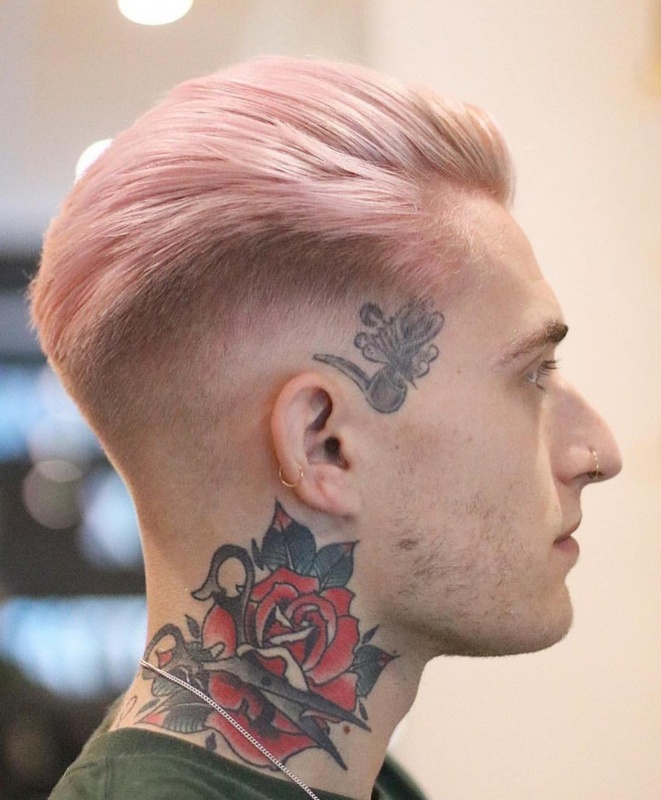 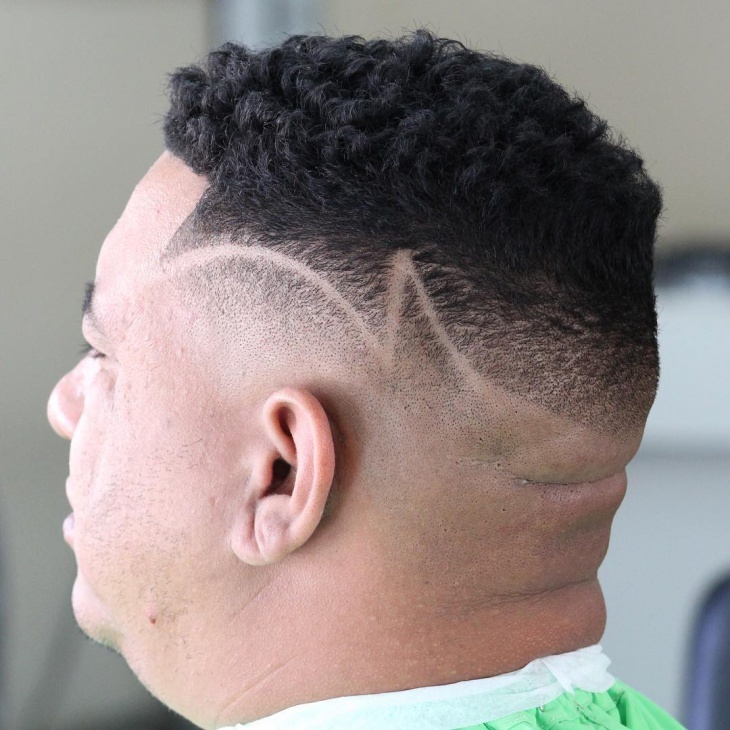 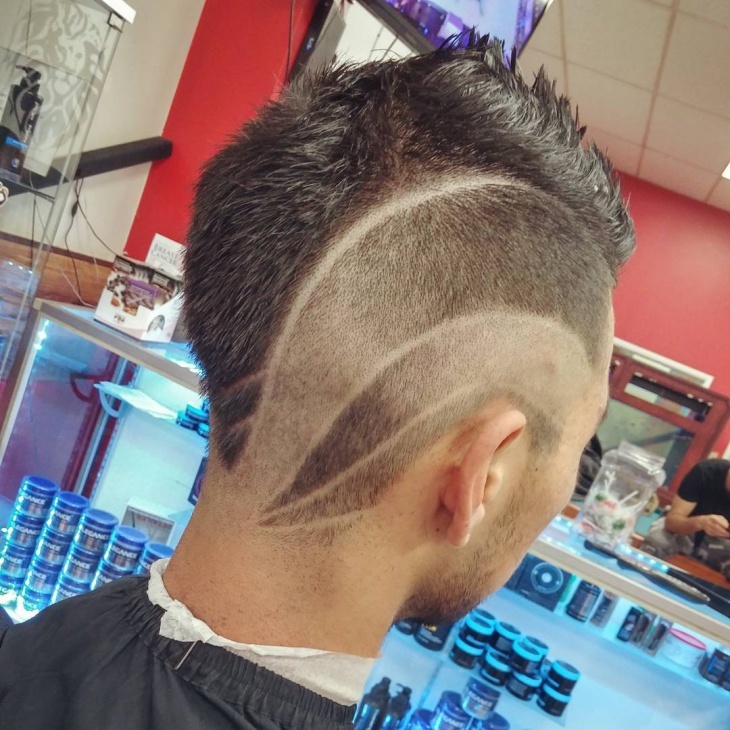 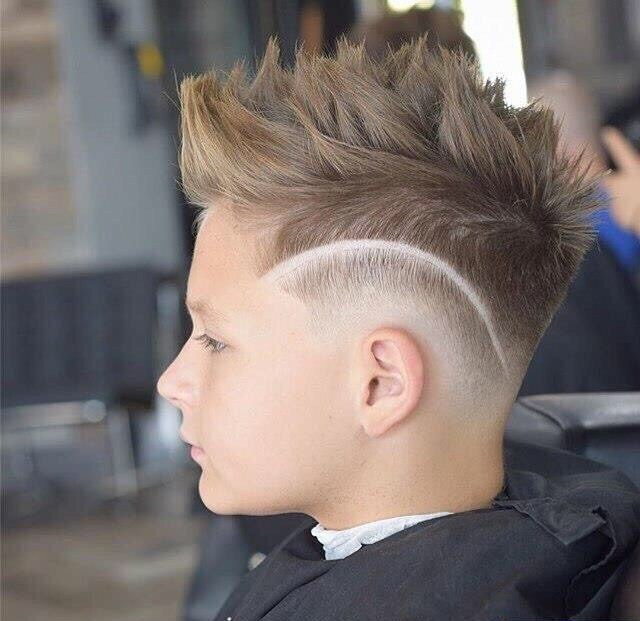 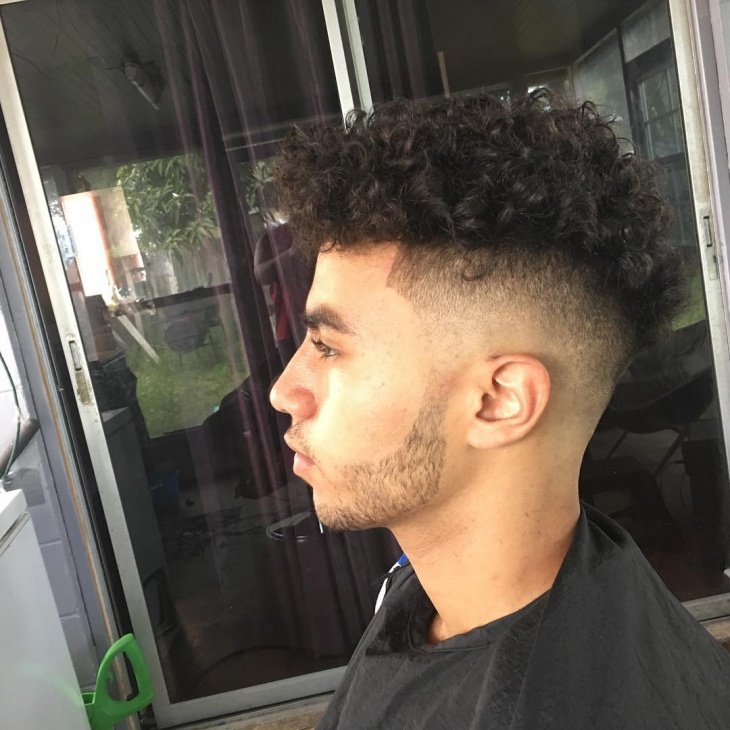 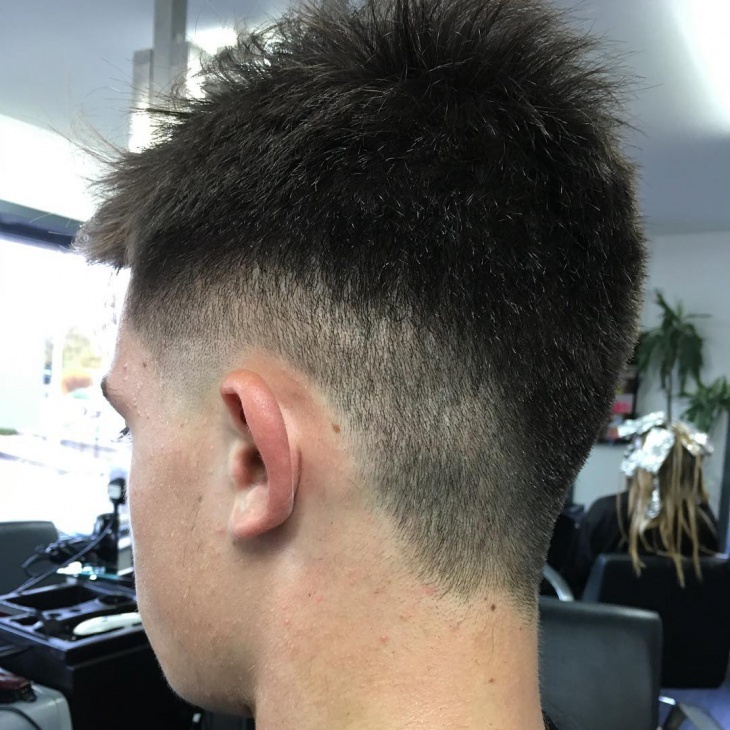 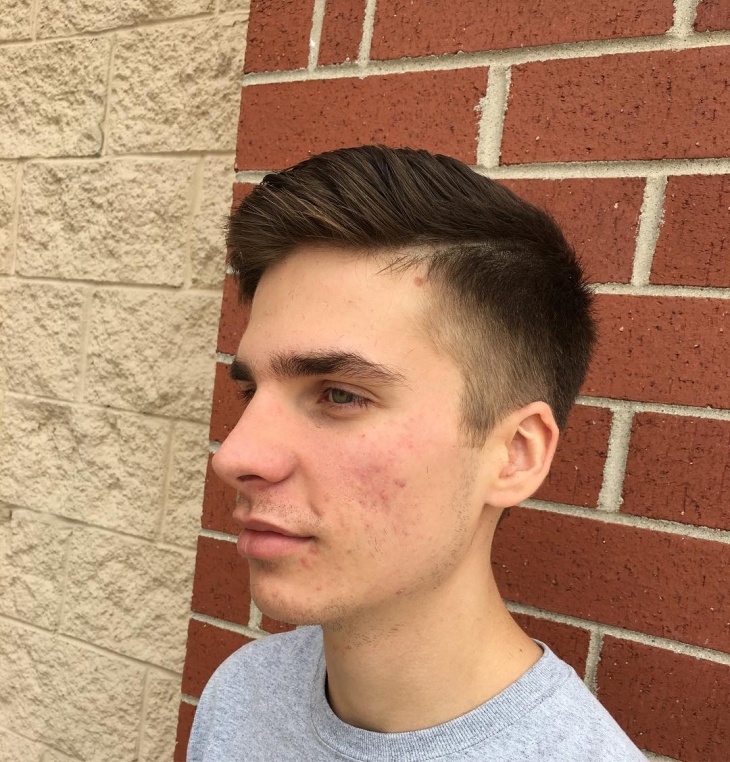 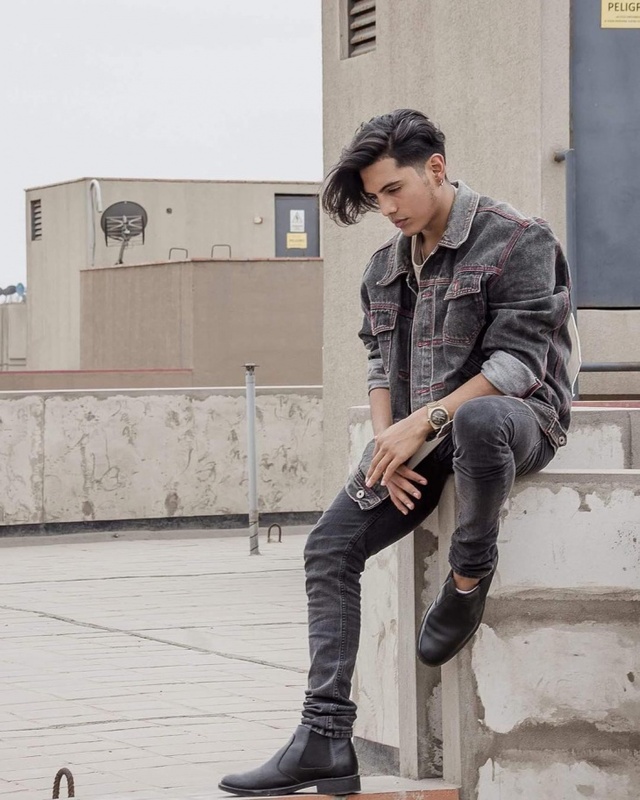 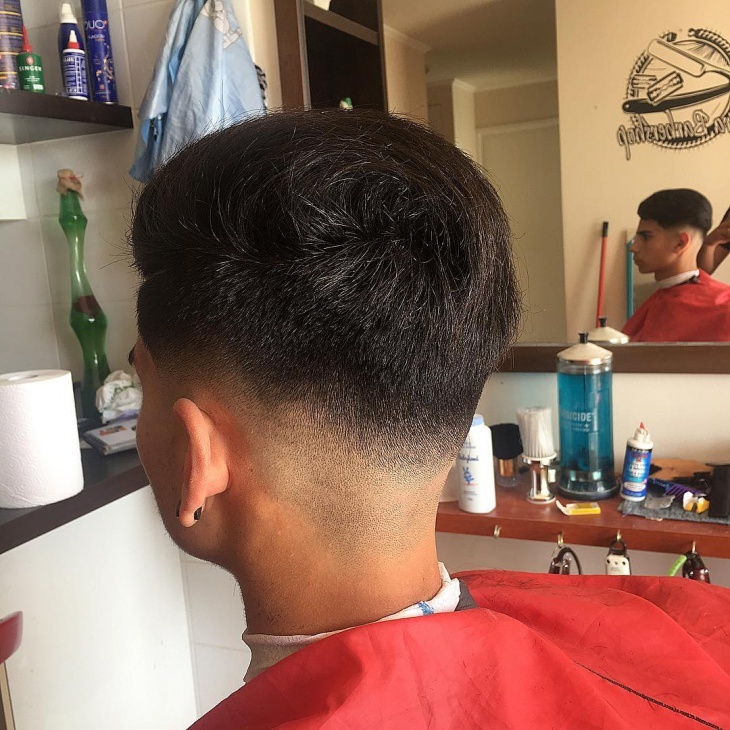 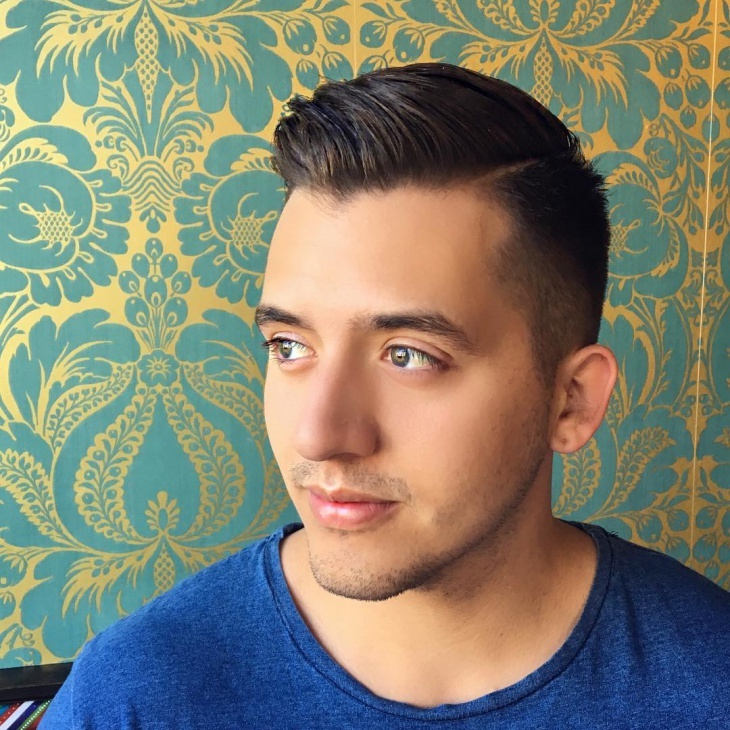 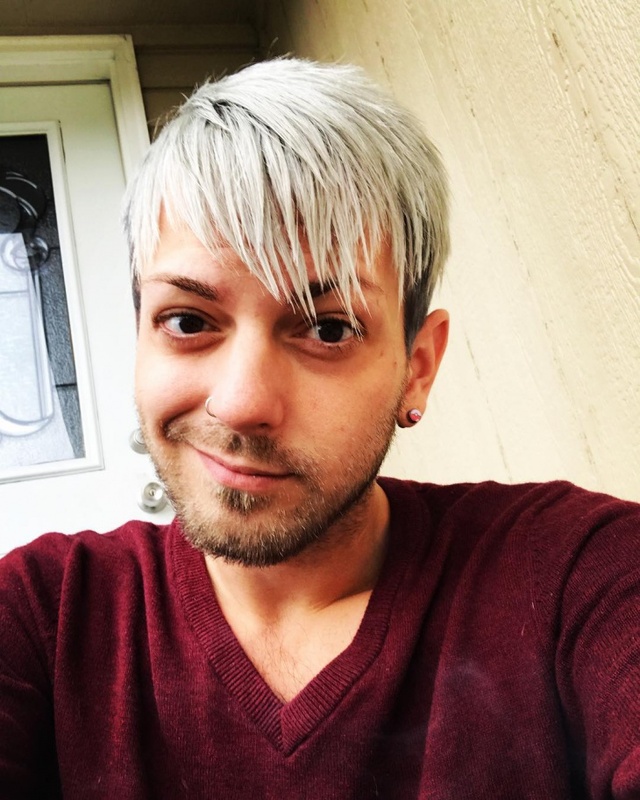 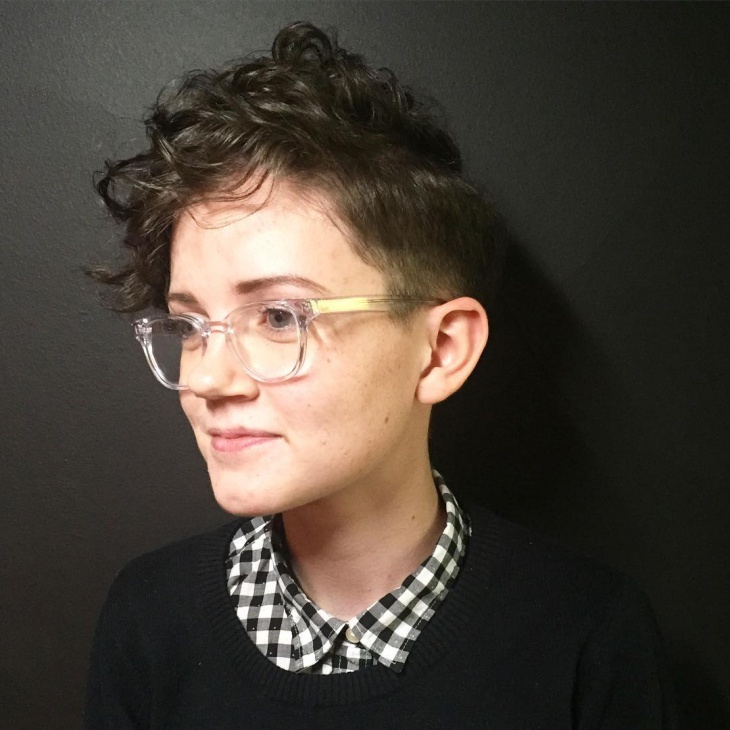 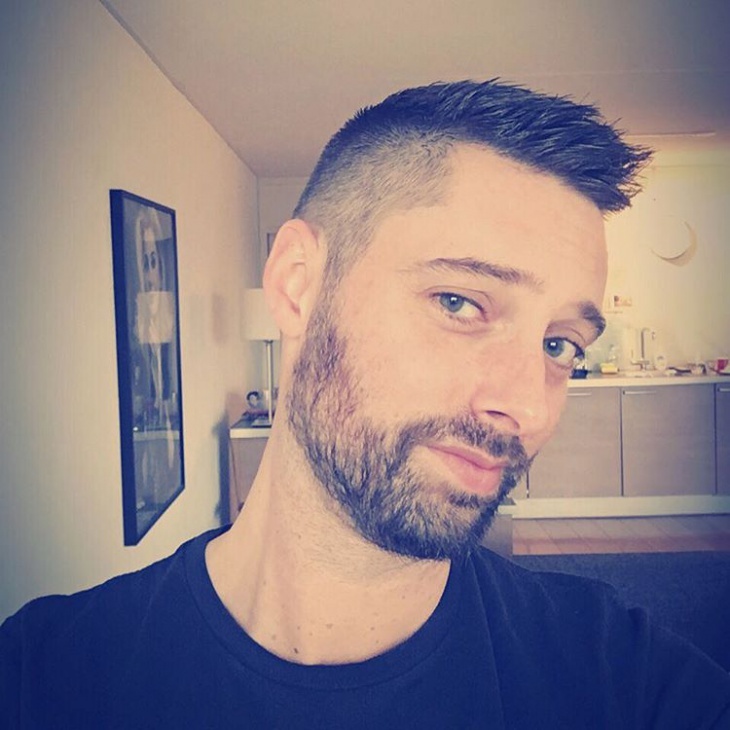 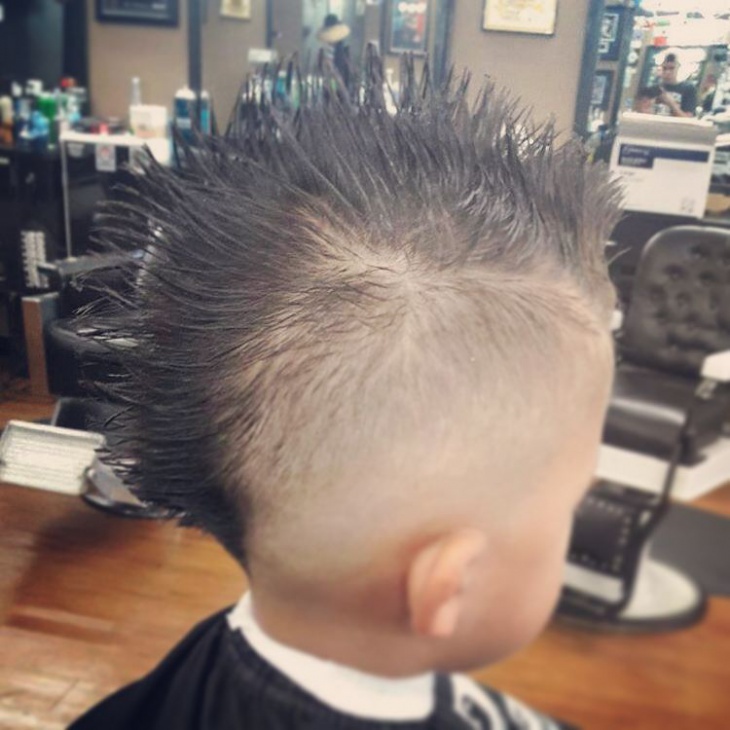 The thing about this classy haircut is that it looks incredibly amazing when tuned in with formals and stylishly cool when adorned with casuals. 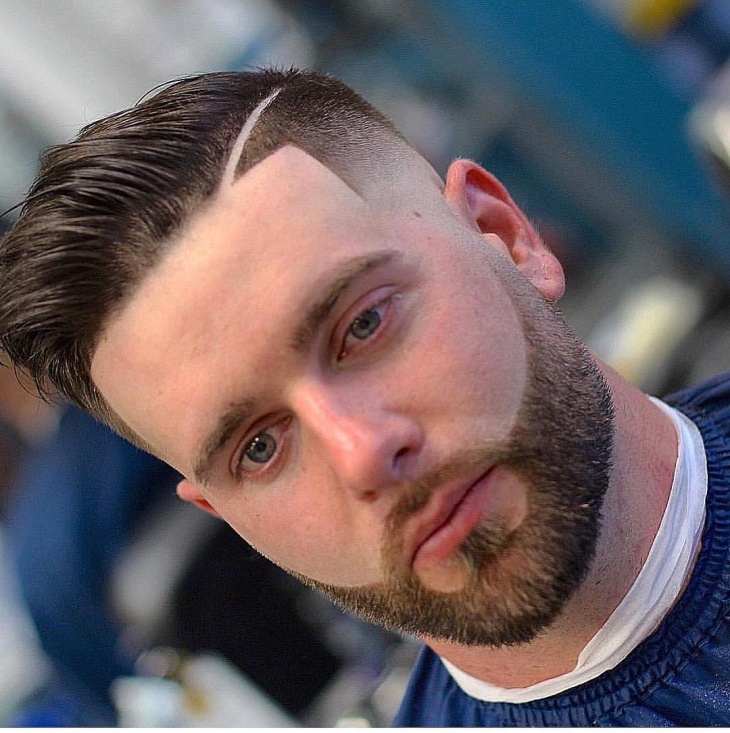 So, either way Comb Over is a win-win. 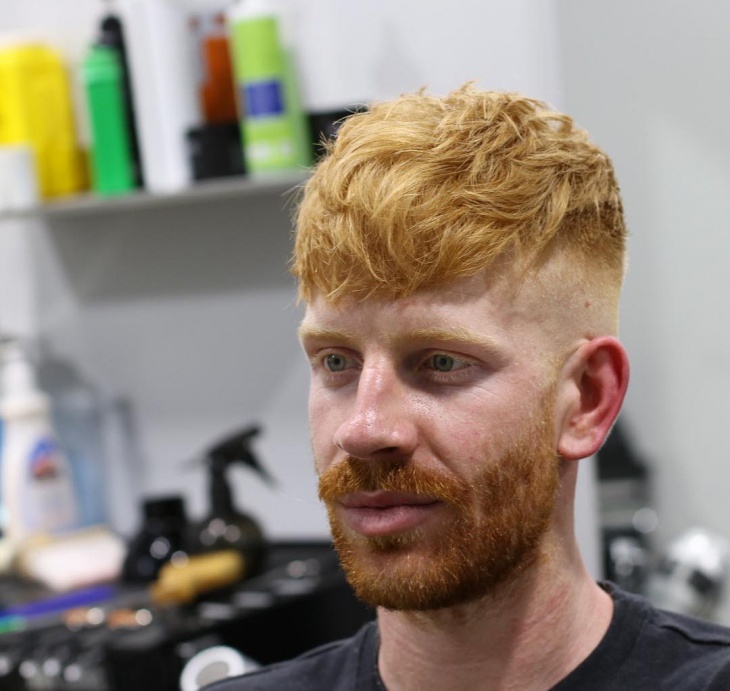 Short and buzzed around the neck with substantial growth towards the top, fade haircuts are styled in various design types. 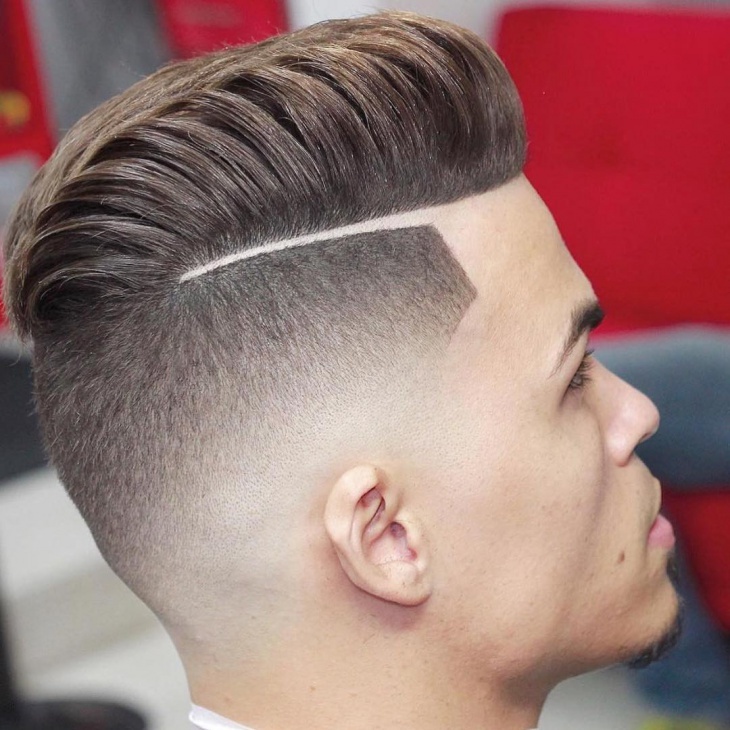 Some of the prominent and popular ones are high top fade, temple fade, comb over fade, Caeser fade, Princeton, high and tight, and fauxhawk. 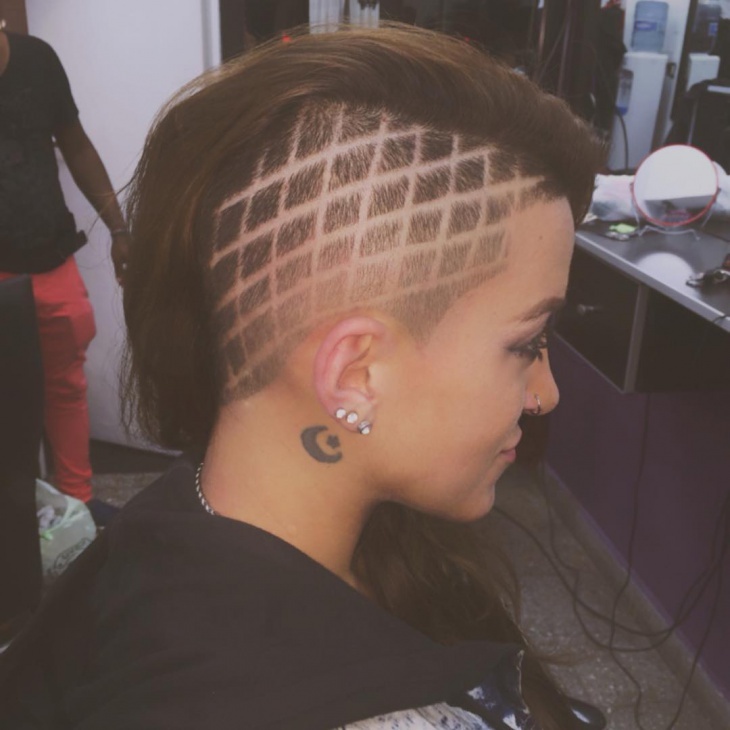 Various types have designs to reflect and suit an individual’s personality. 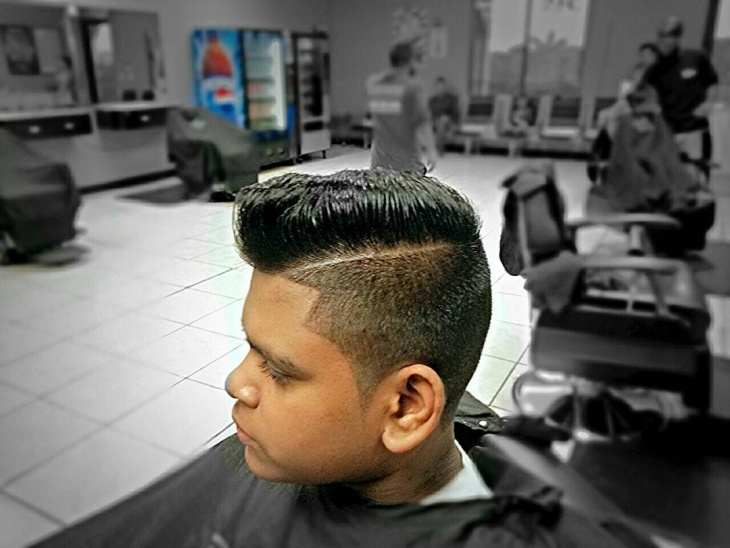 Hair stylists have creatively created various design patterns to distinguish various type of fades. 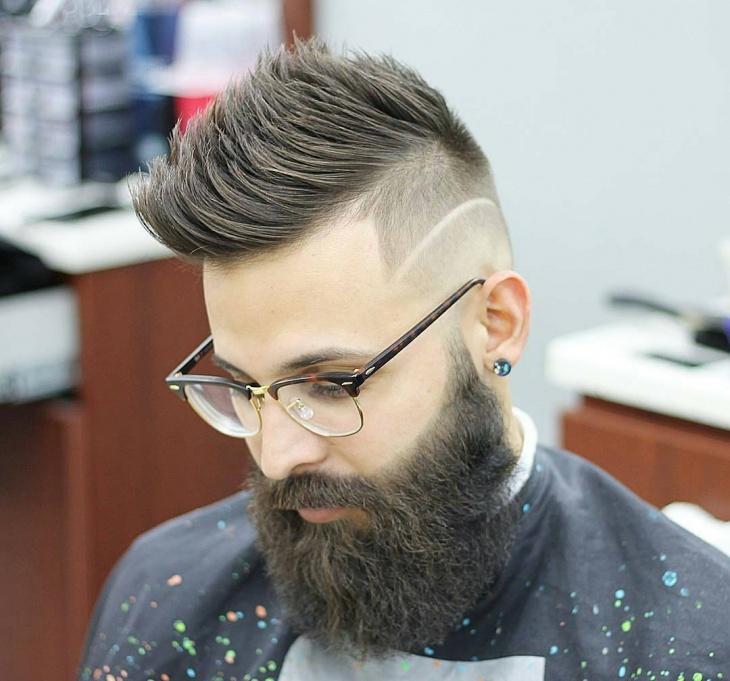 Some of them have long hairs on the top and some in just one side, depending on the choice of an individual. 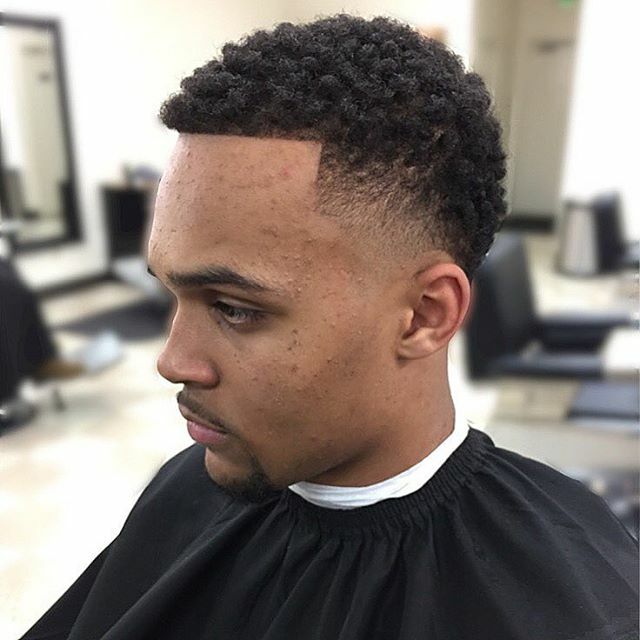 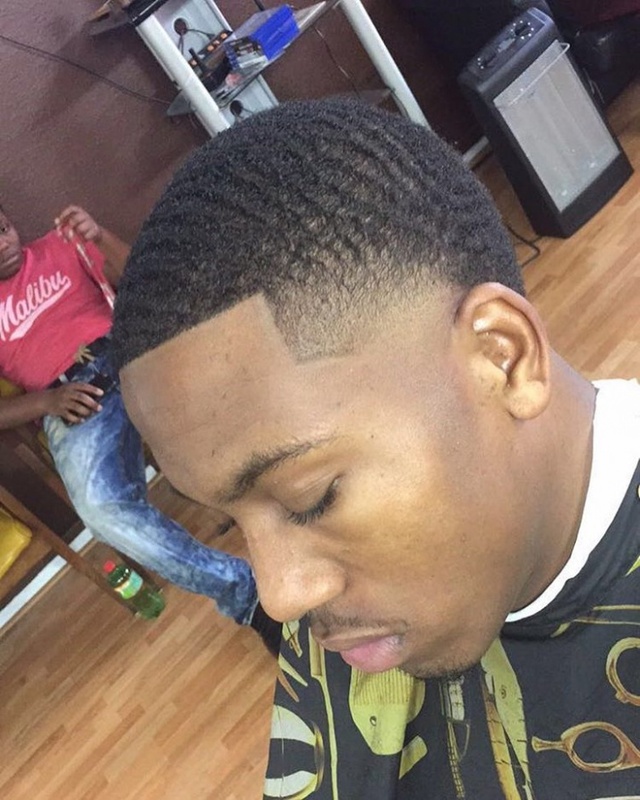 Black men prefer and look good in fade haircuts because of their natural textured growth of hair. 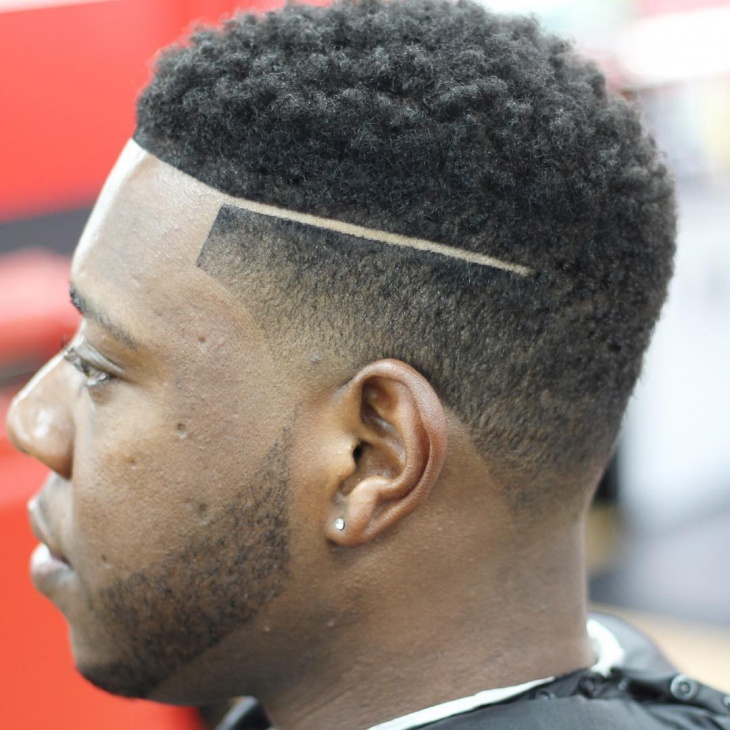 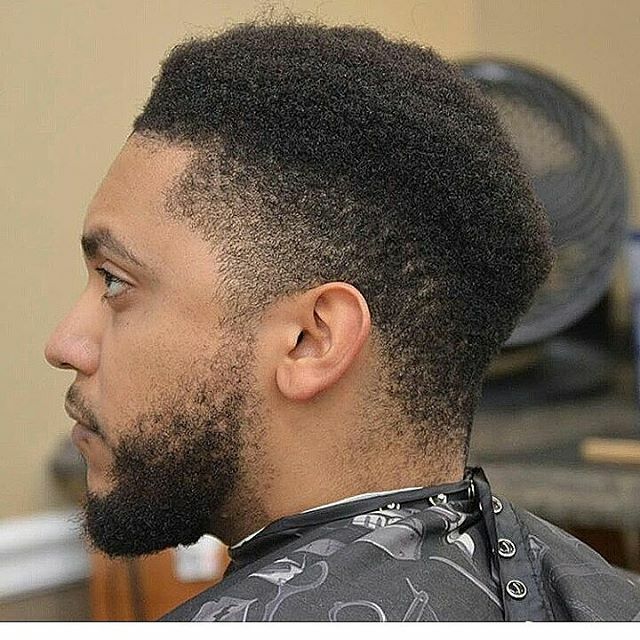 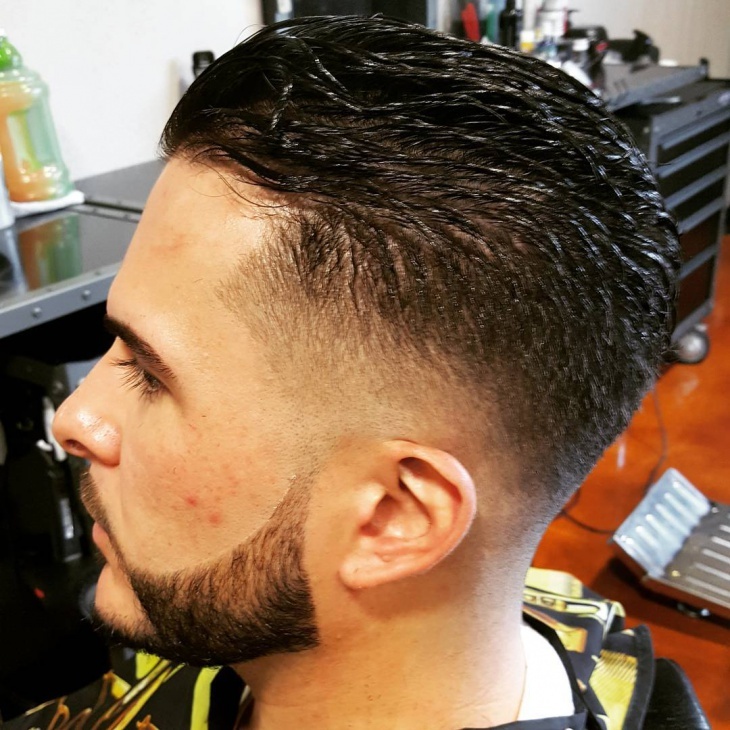 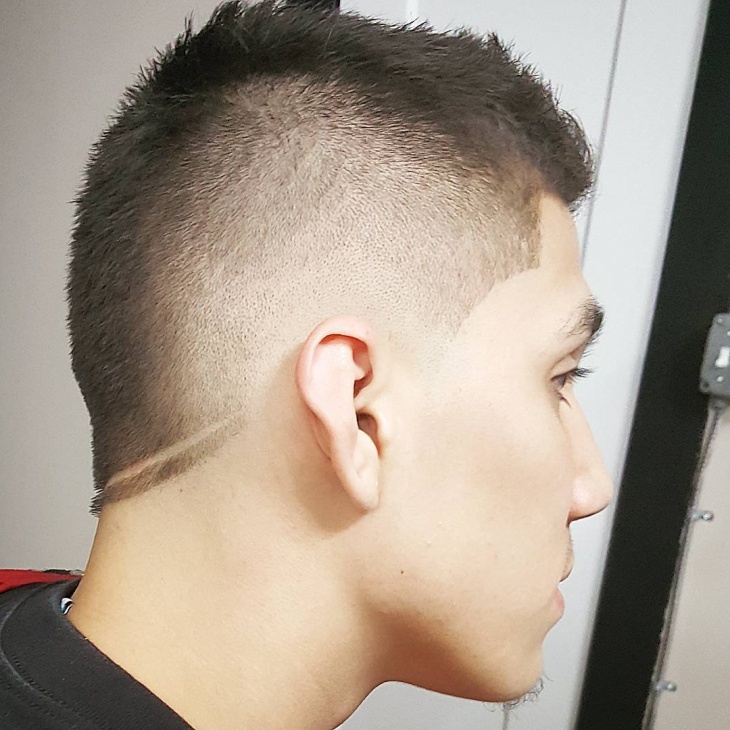 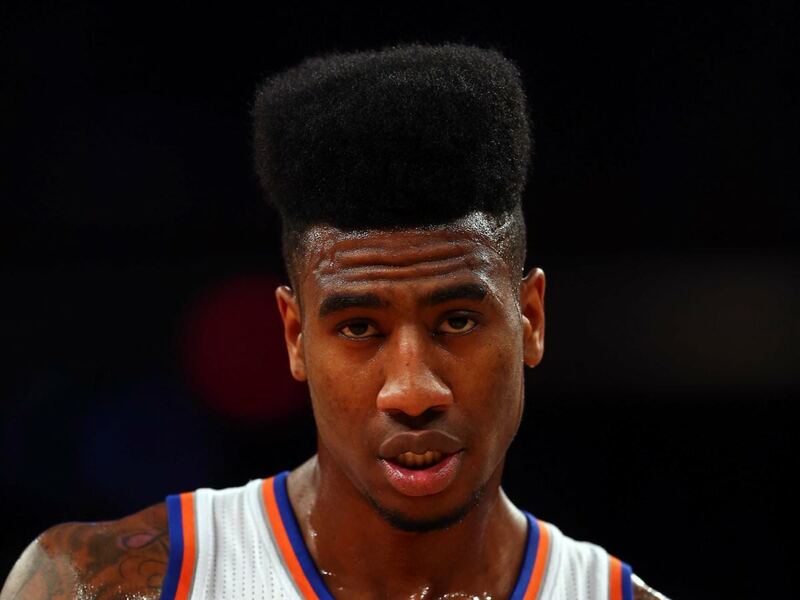 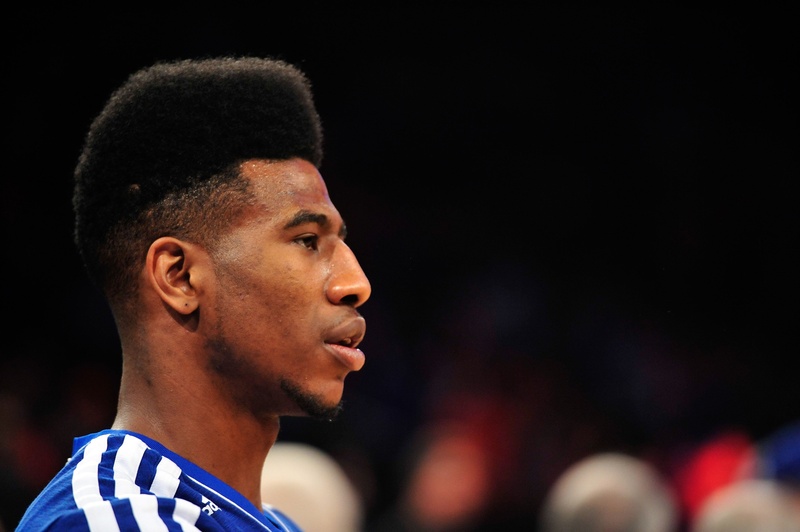 Fade haircuts are the best bet for them because it is low maintenance. 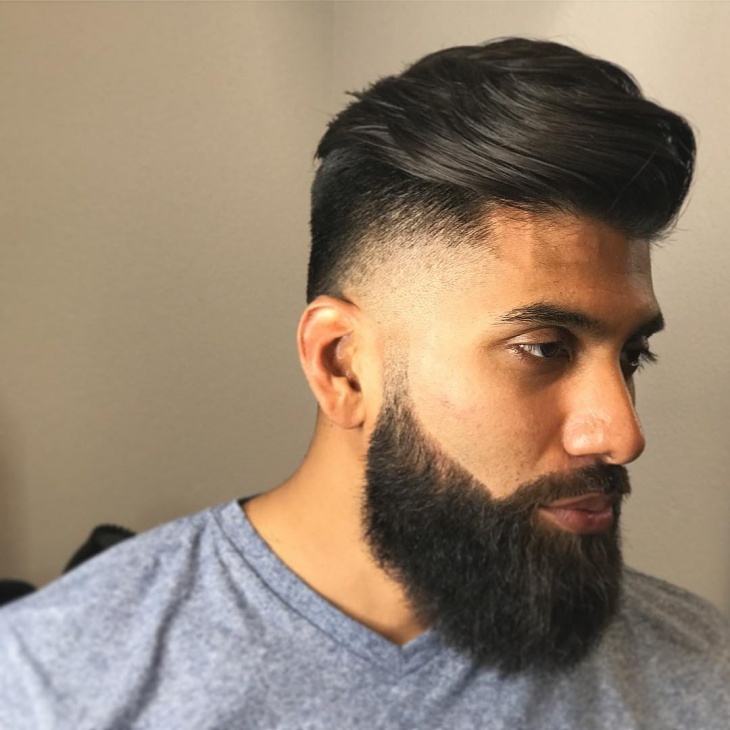 Unlike women, men always prefer a hairstyle that needs less care. 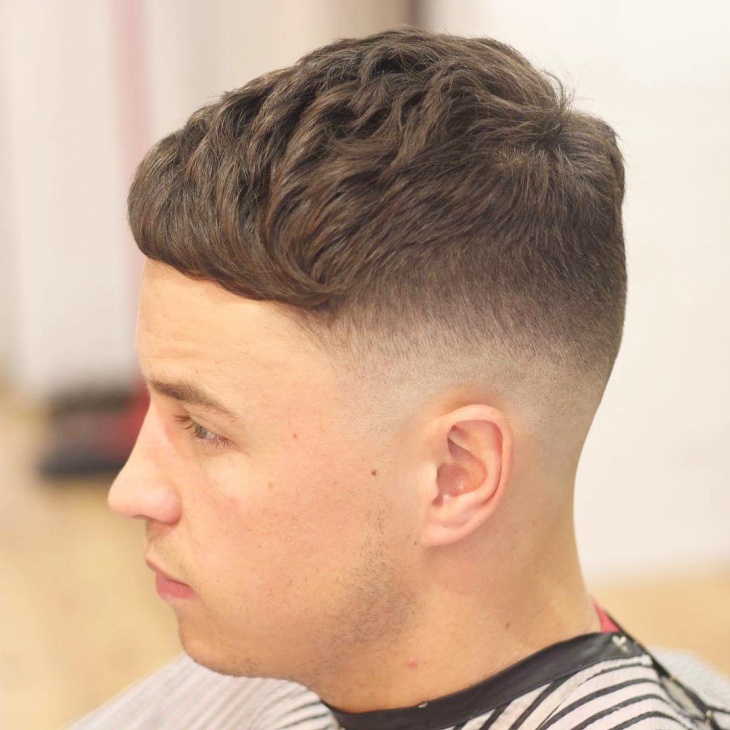 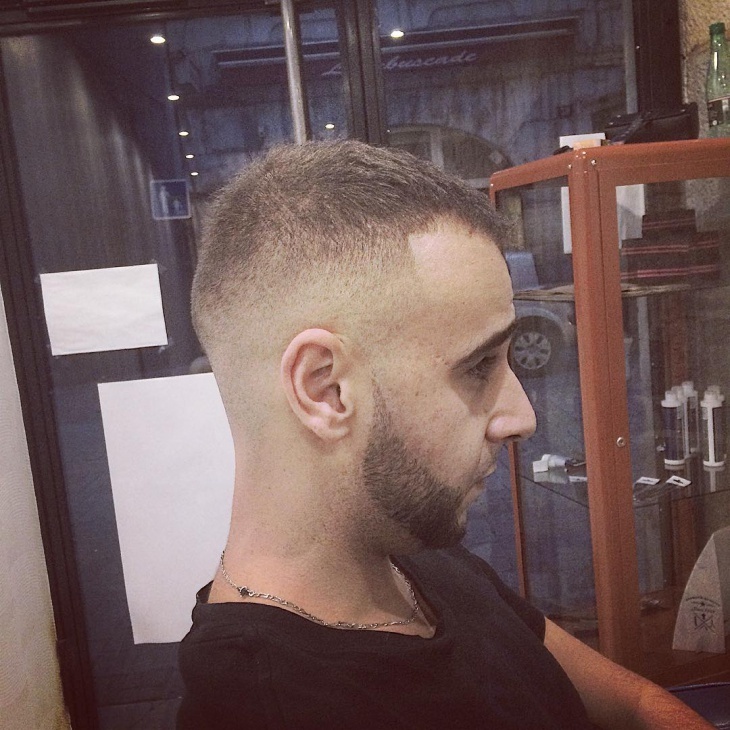 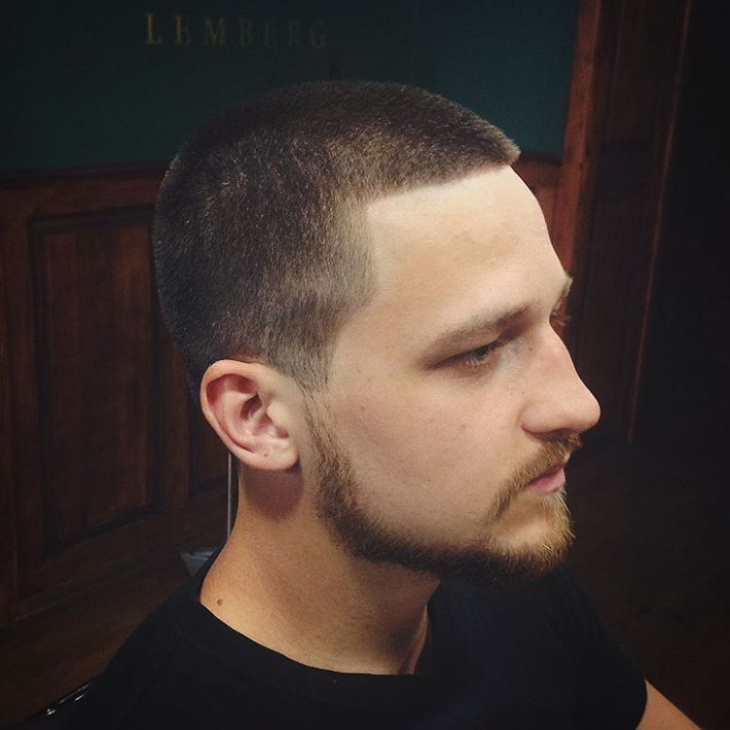 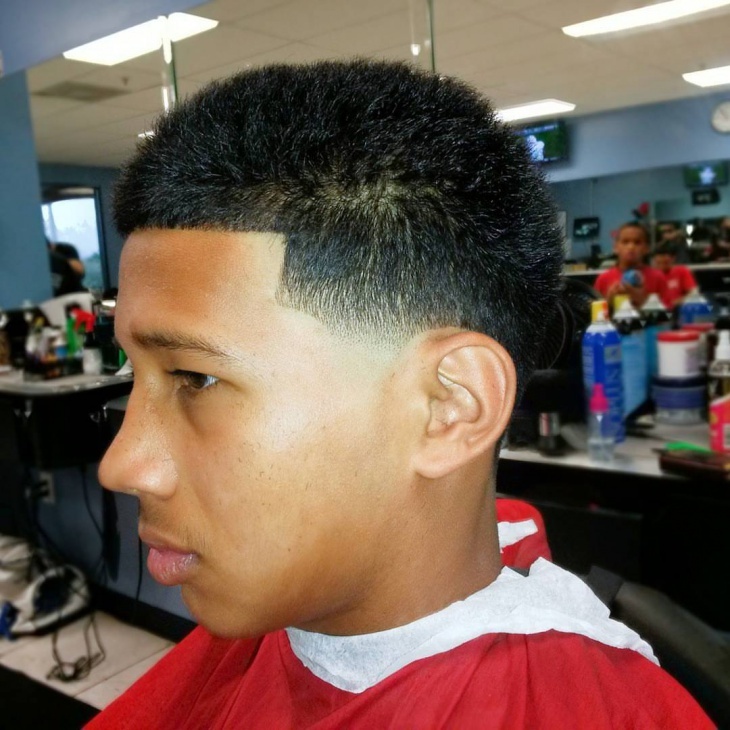 The famous army cut, popularly known as the crew cut is a type of fade haircut. 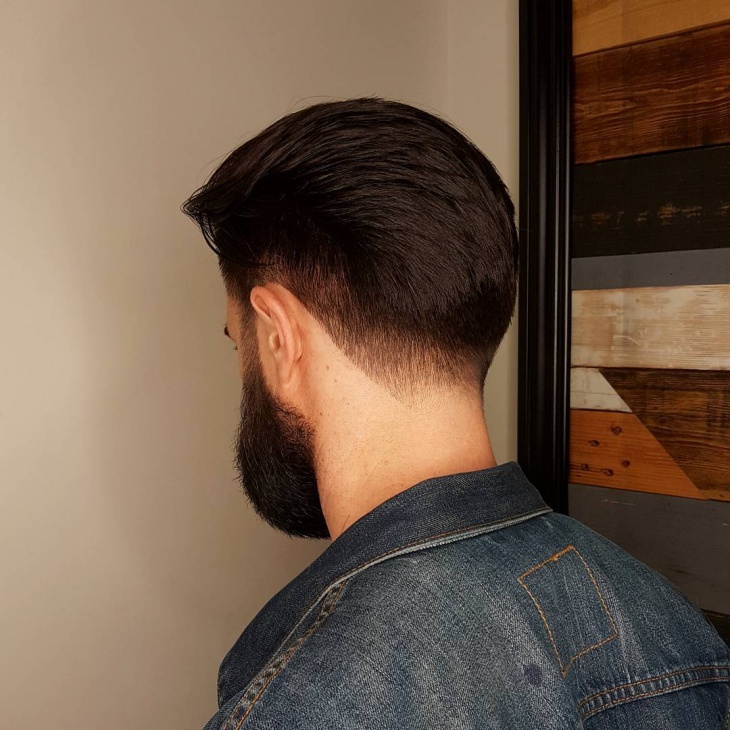 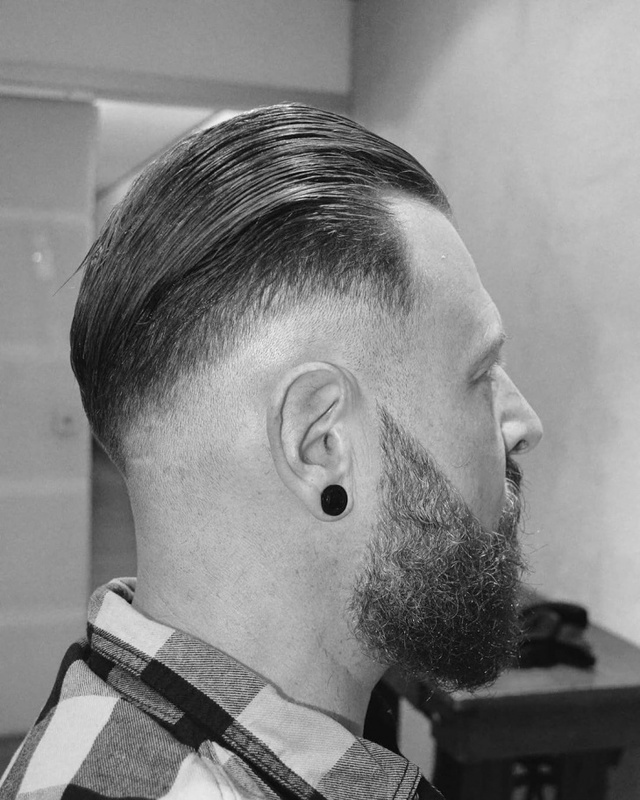 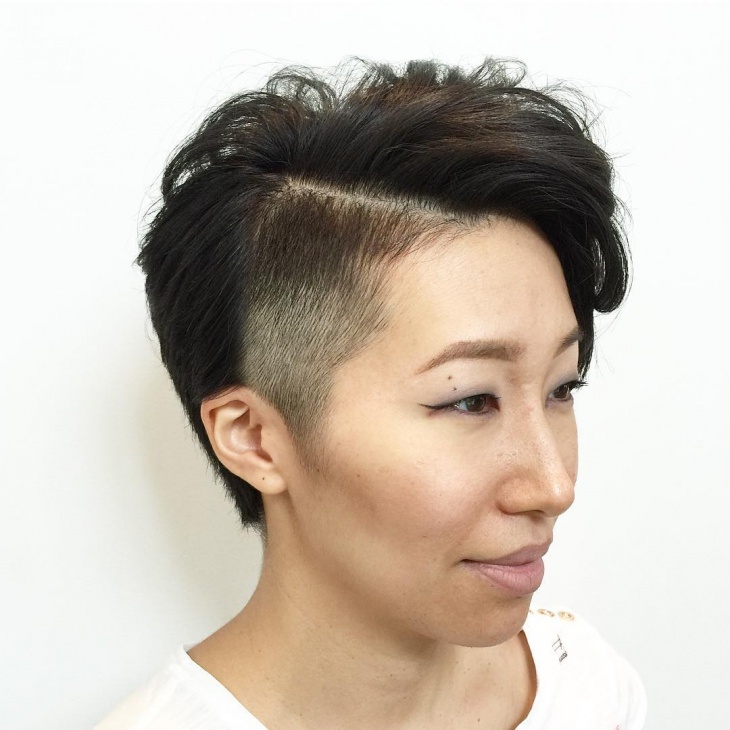 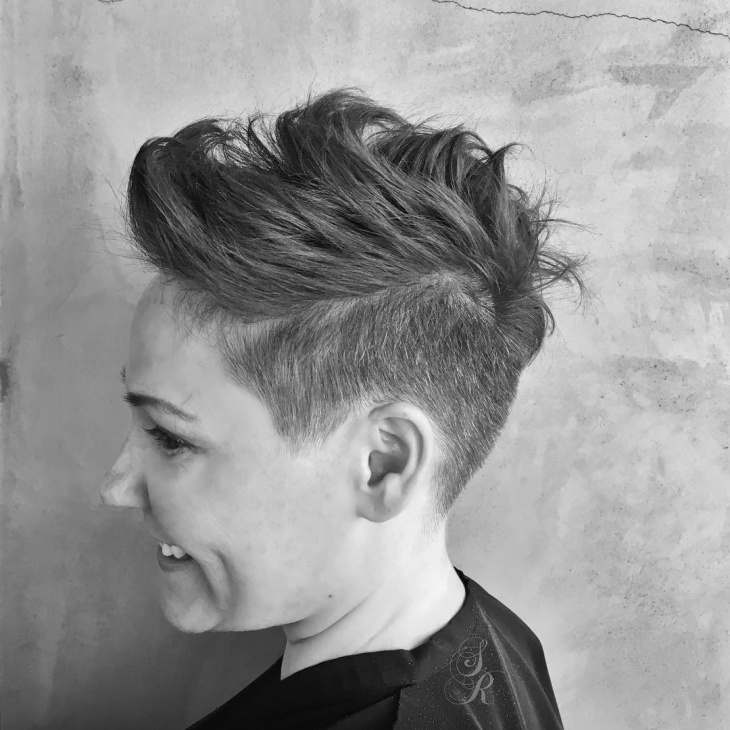 With just an inch long of hair at the top, hair on the side of the neck and back are tapered to the bare minimum. 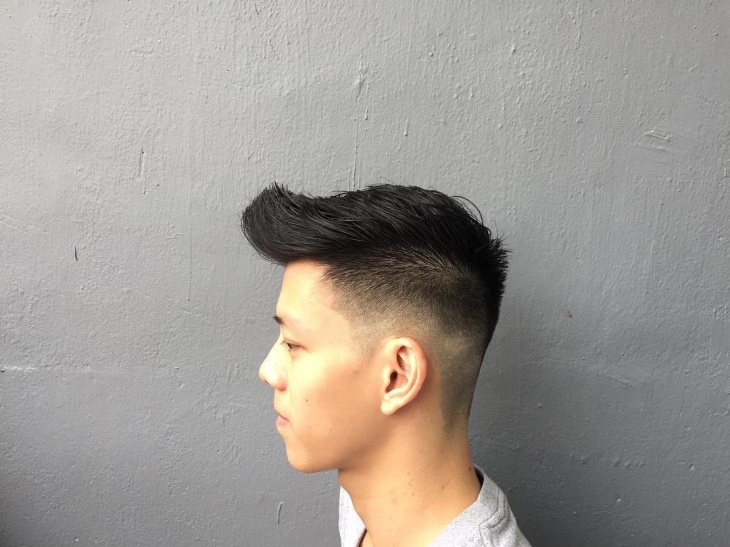 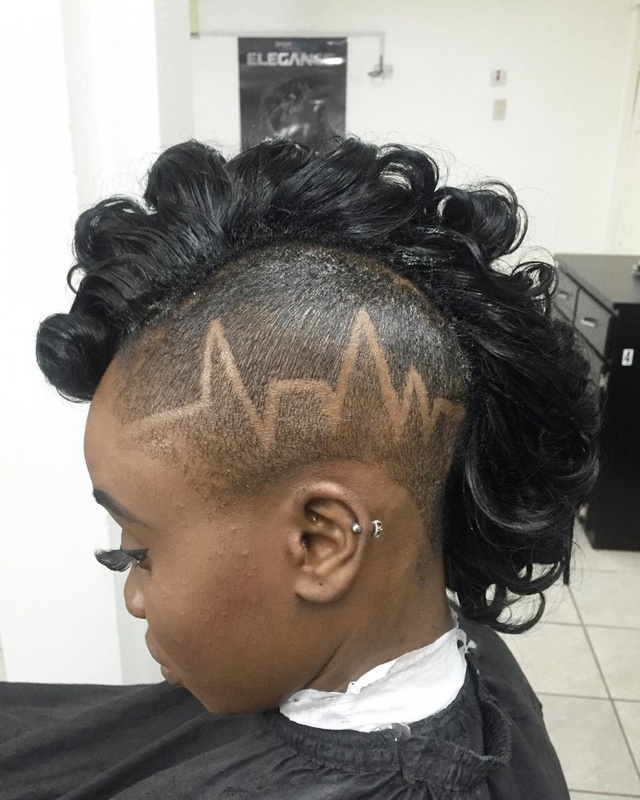 Soldiers love this maintenance free hairstyle. 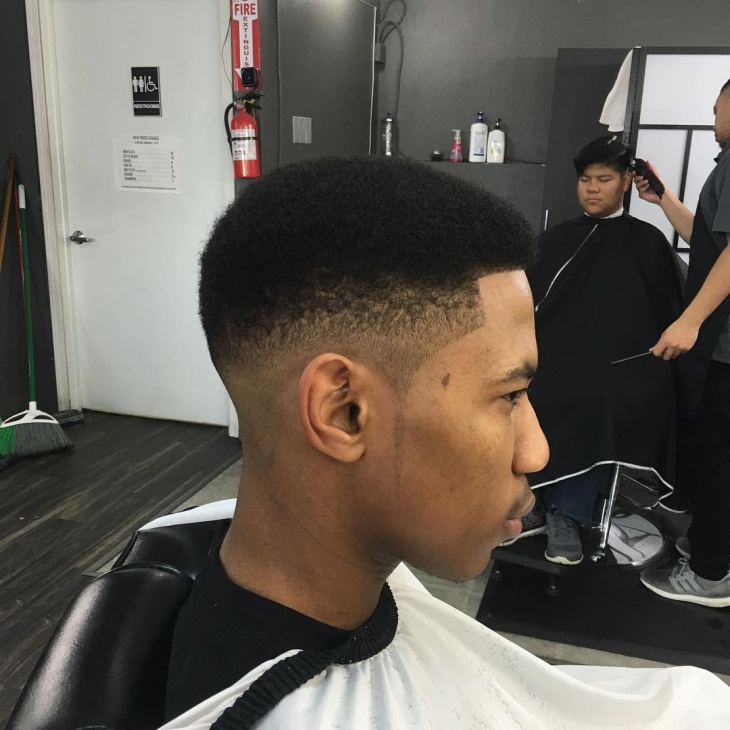 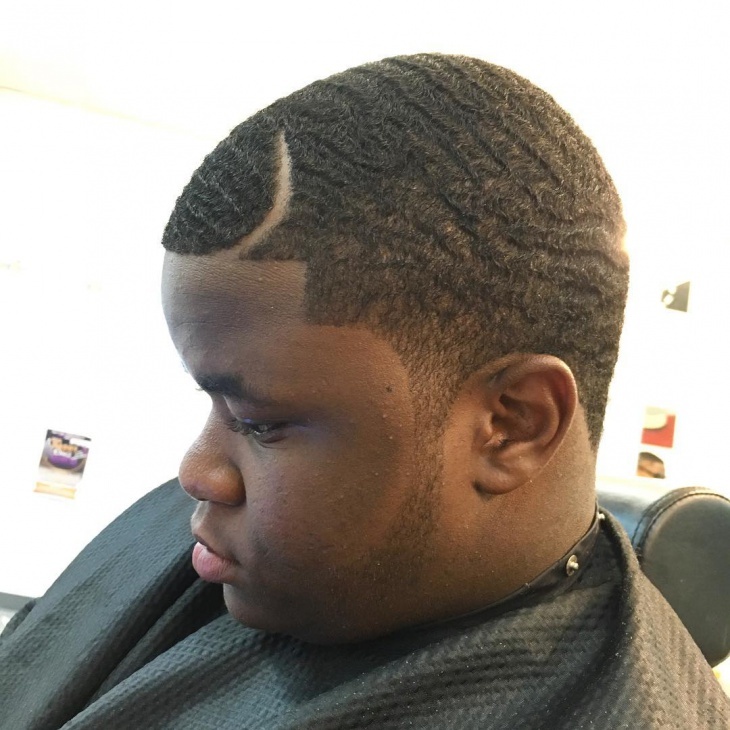 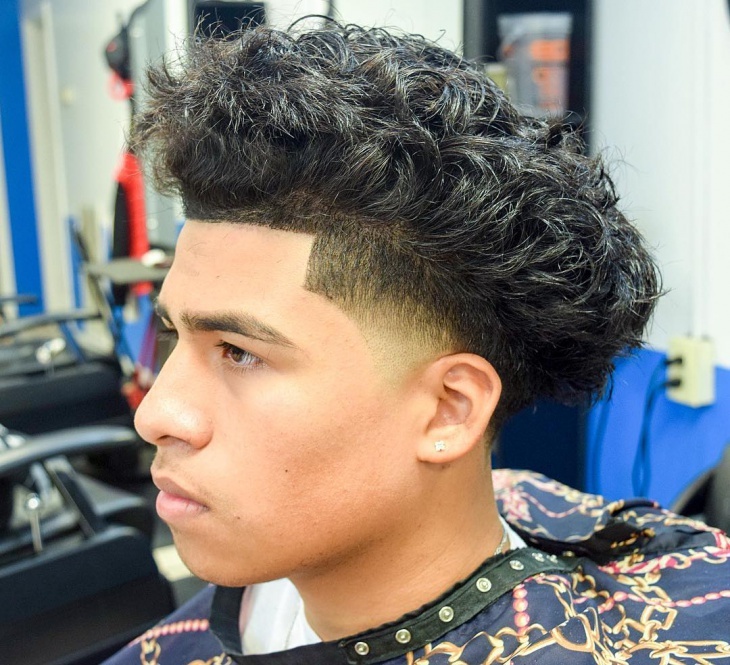 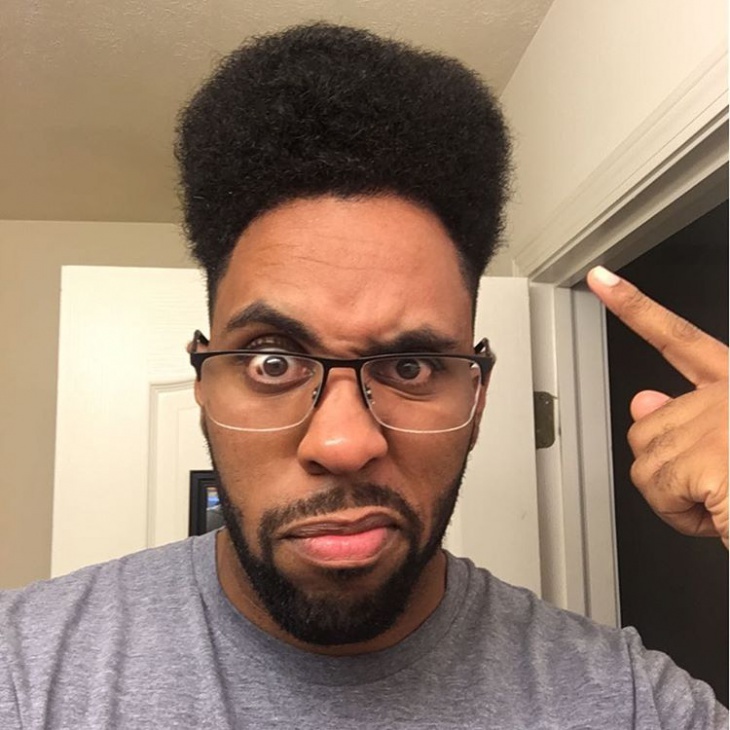 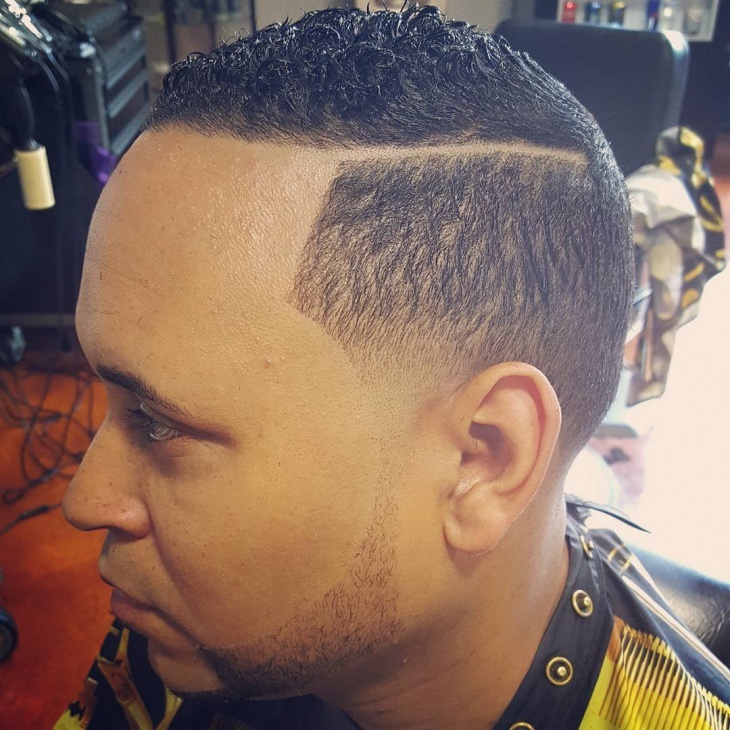 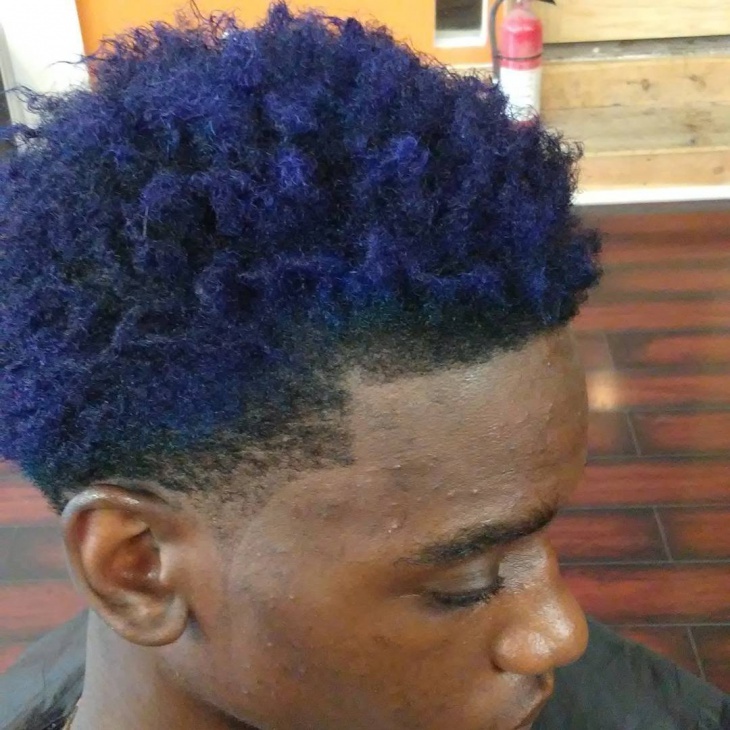 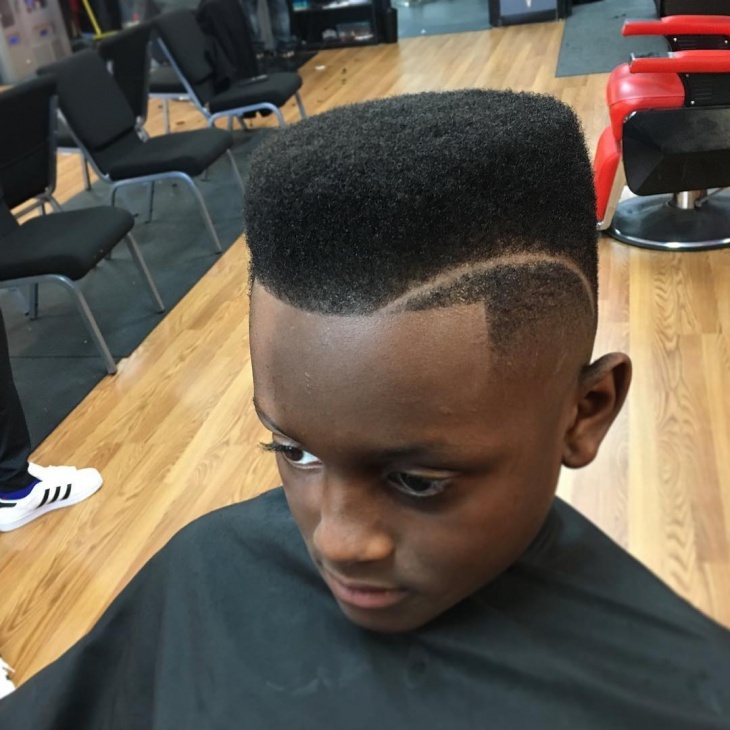 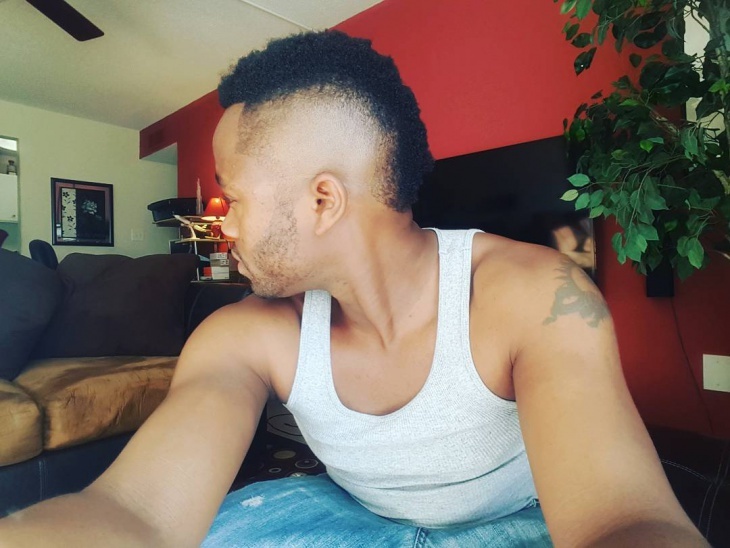 Afro-American men have since ages mostly prefered fade haircut and hair stylists have kept abreast with the fashion trends on runway to create design that attracts attention.